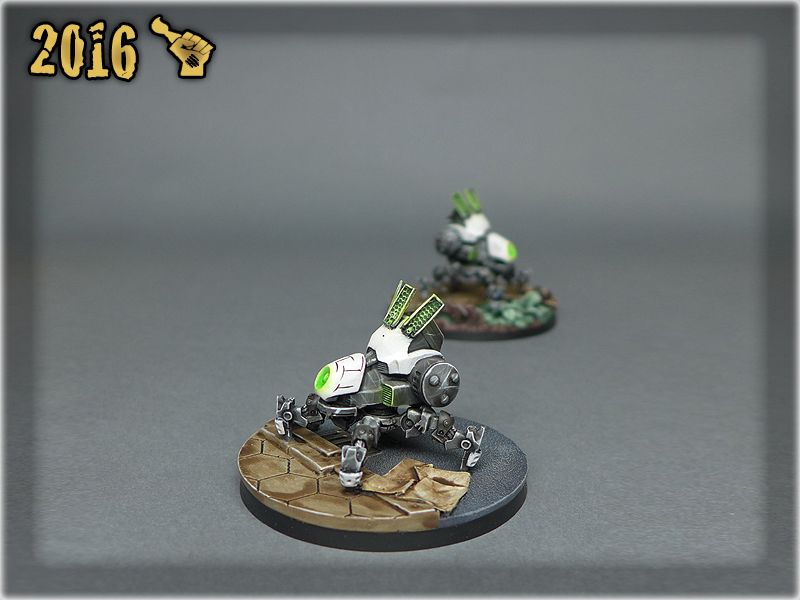 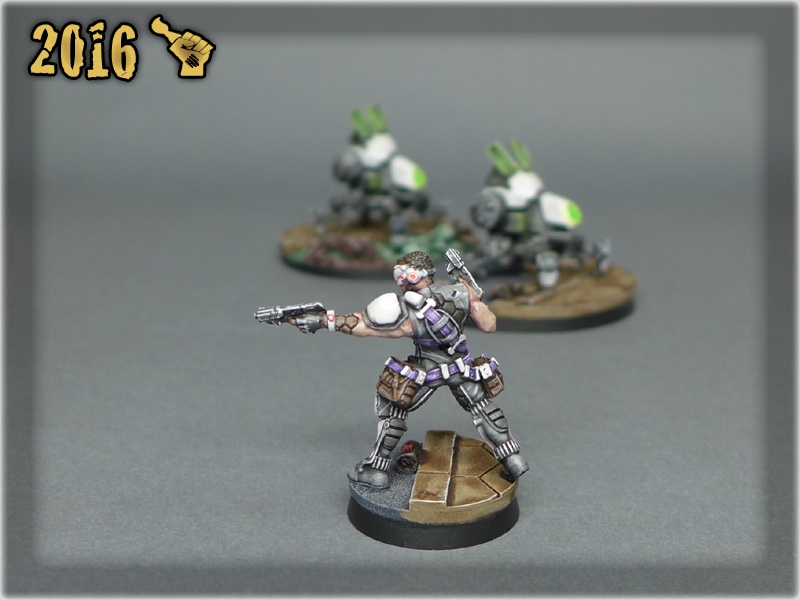 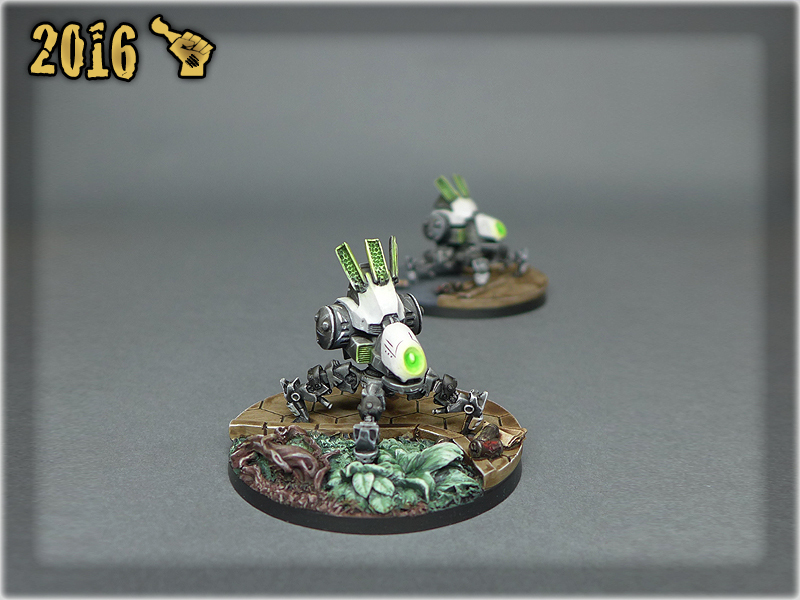 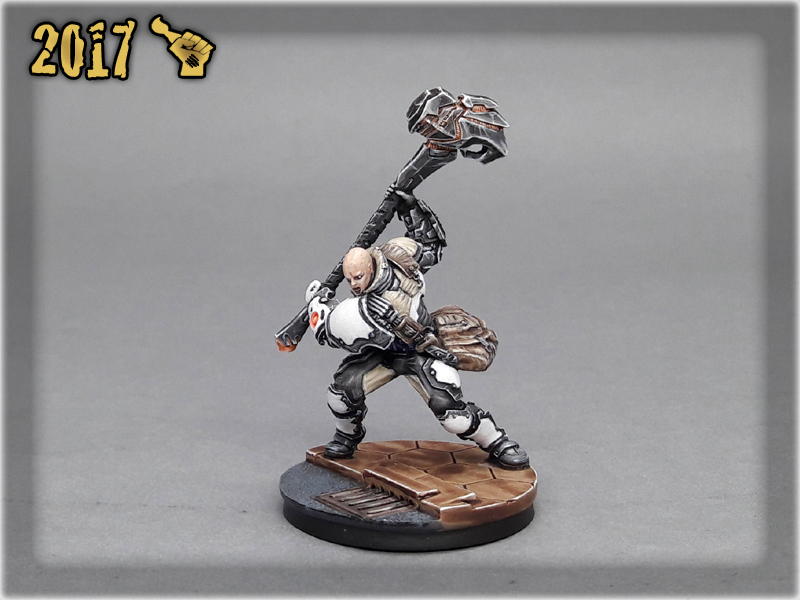 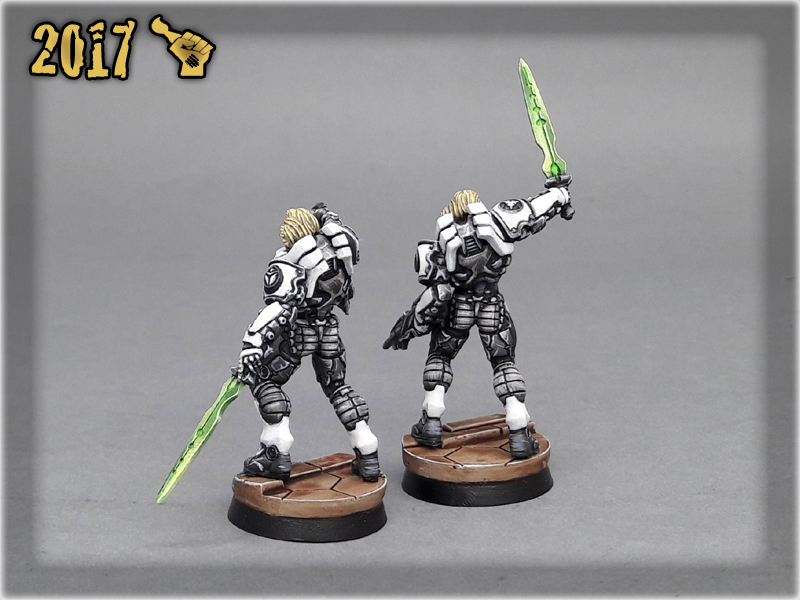 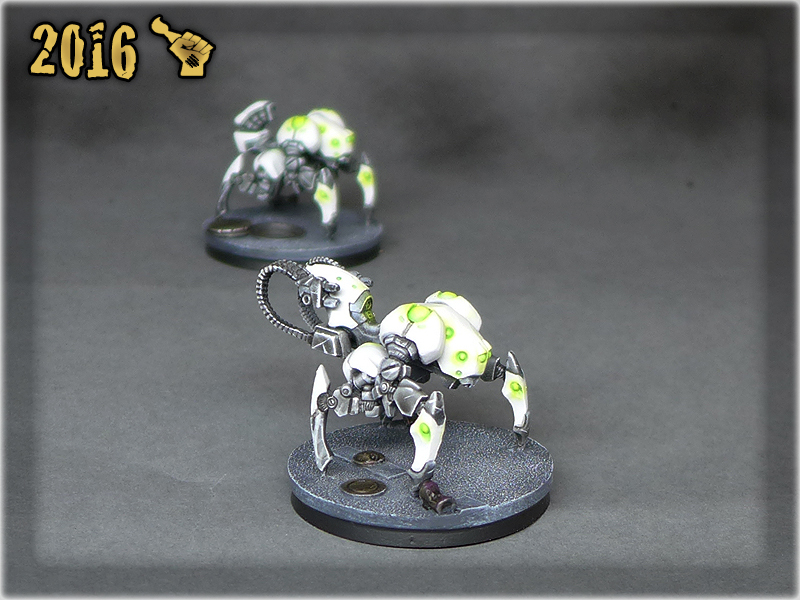 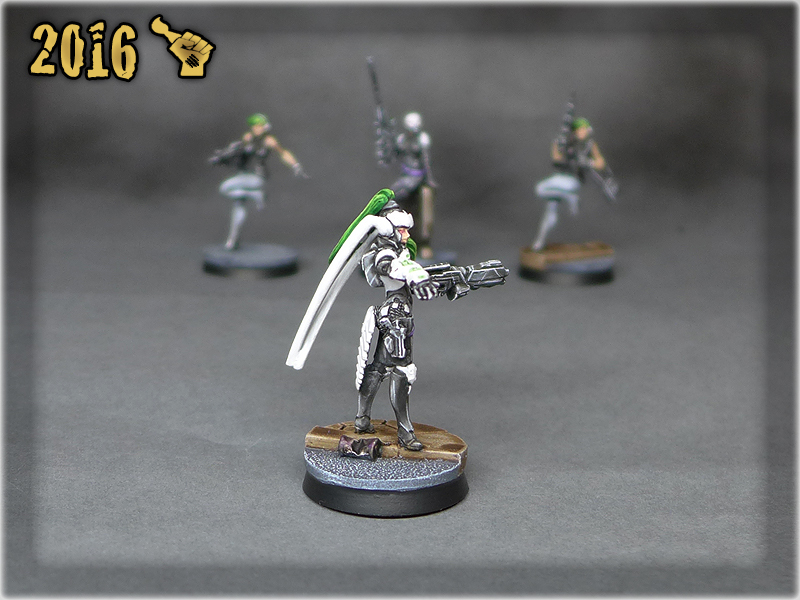 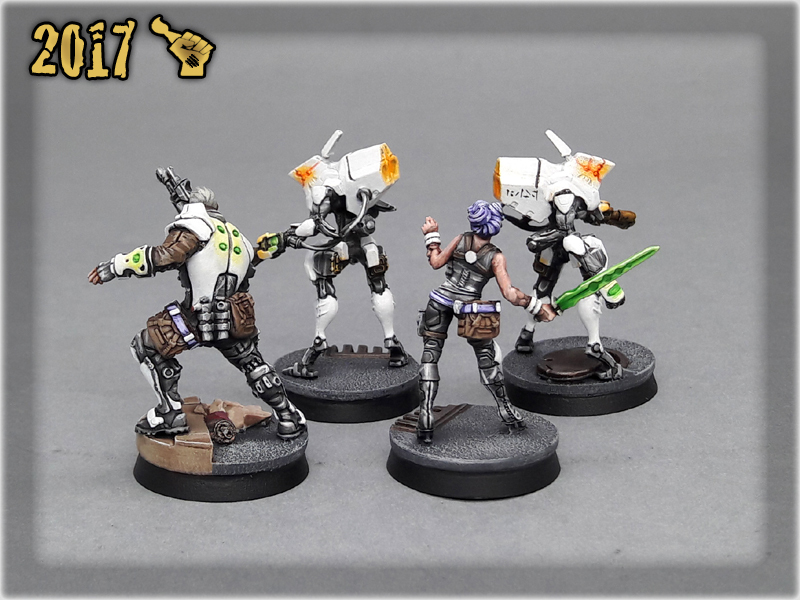 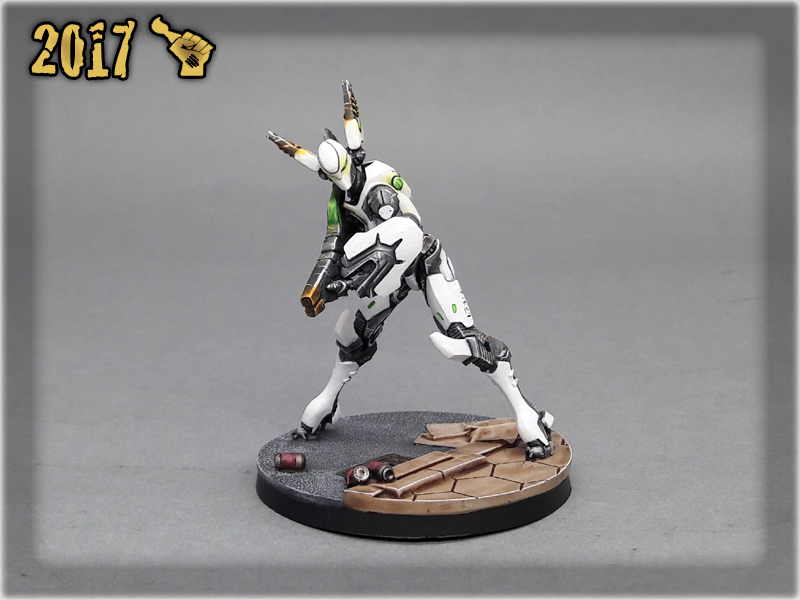 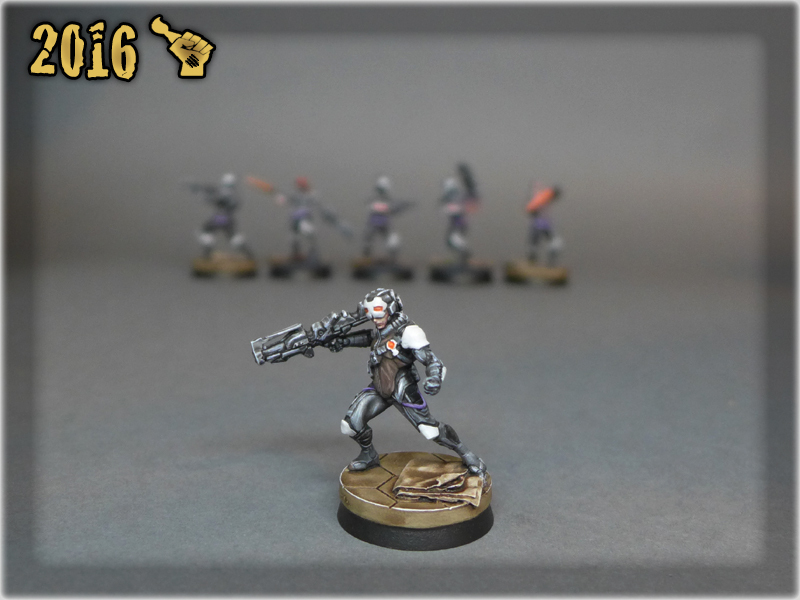 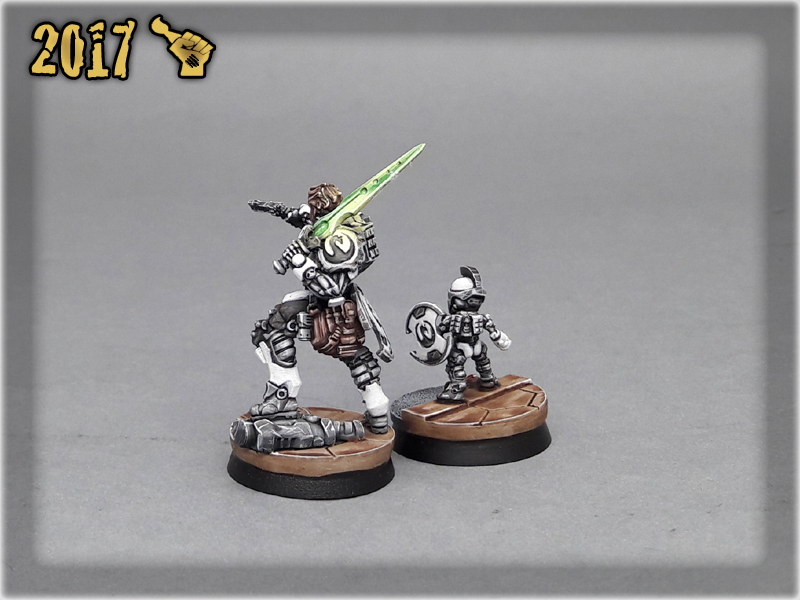 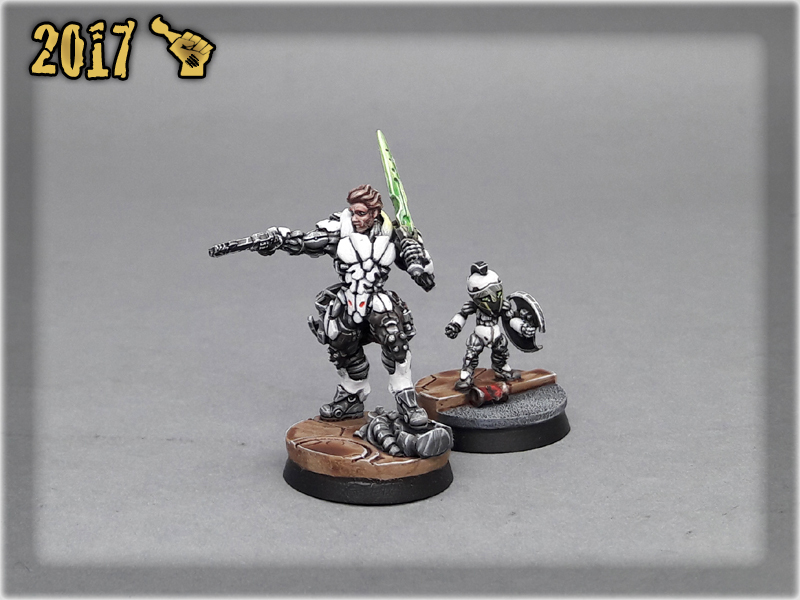 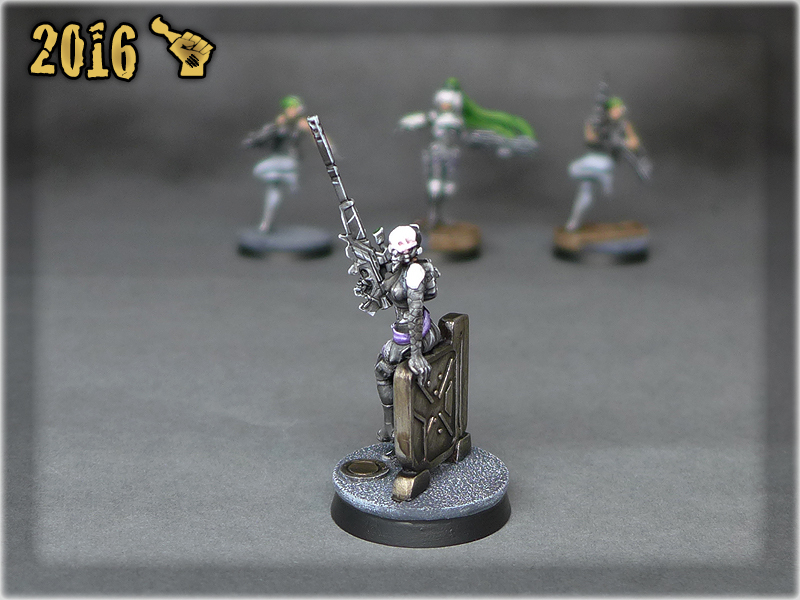 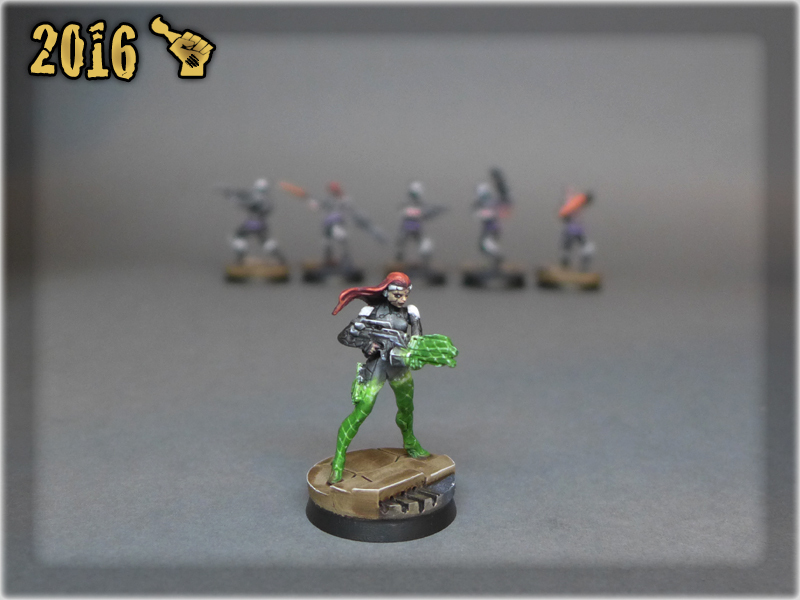 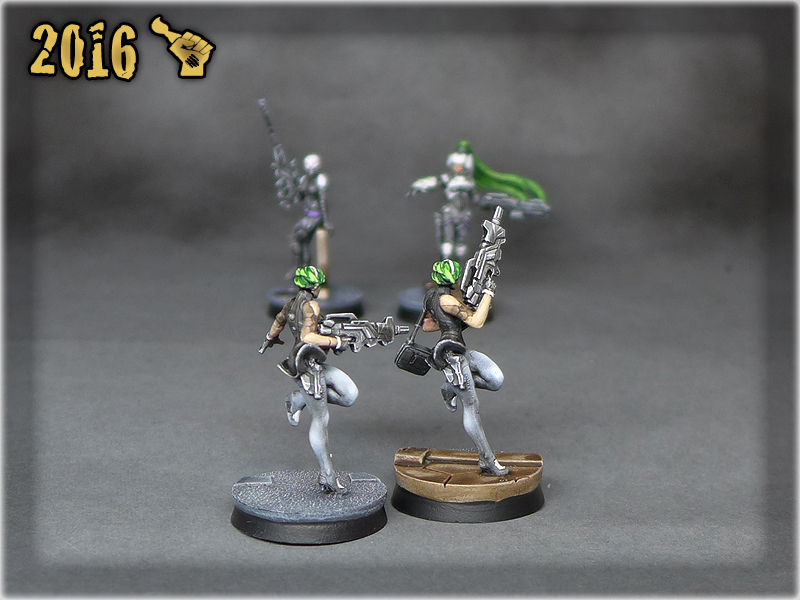 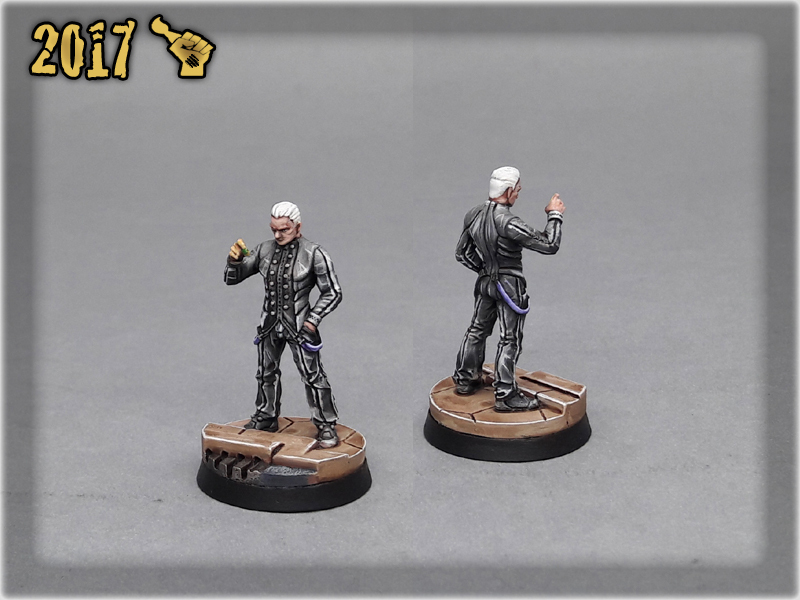 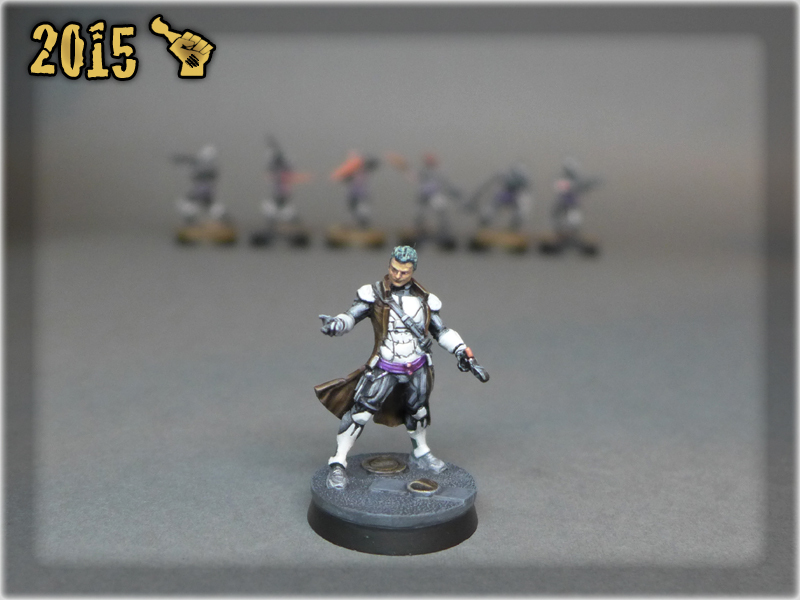 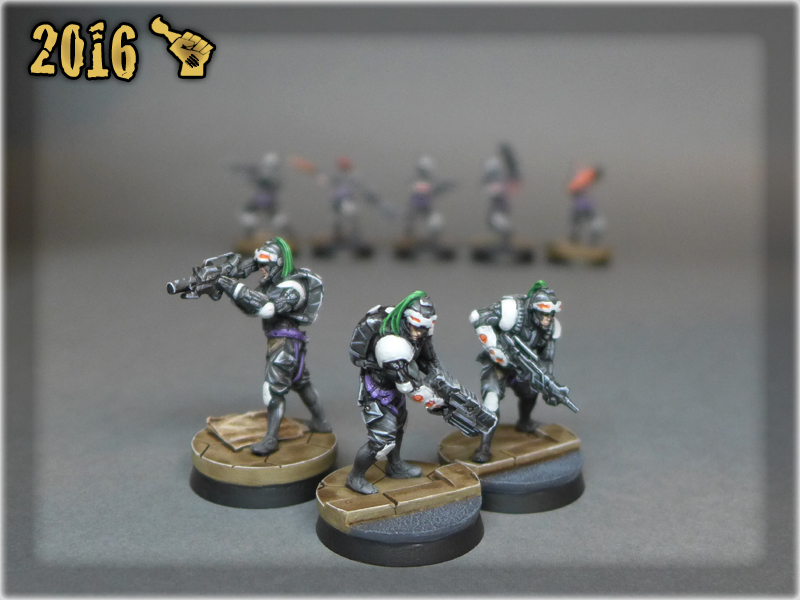 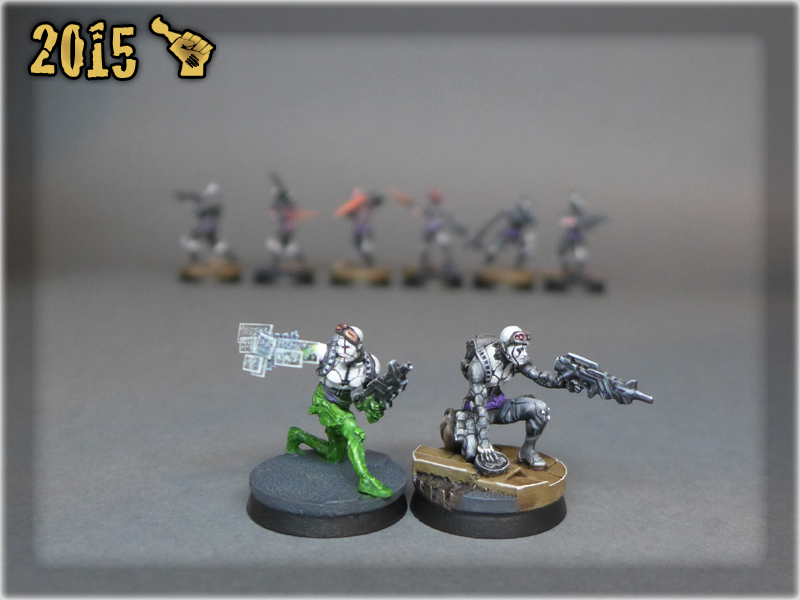 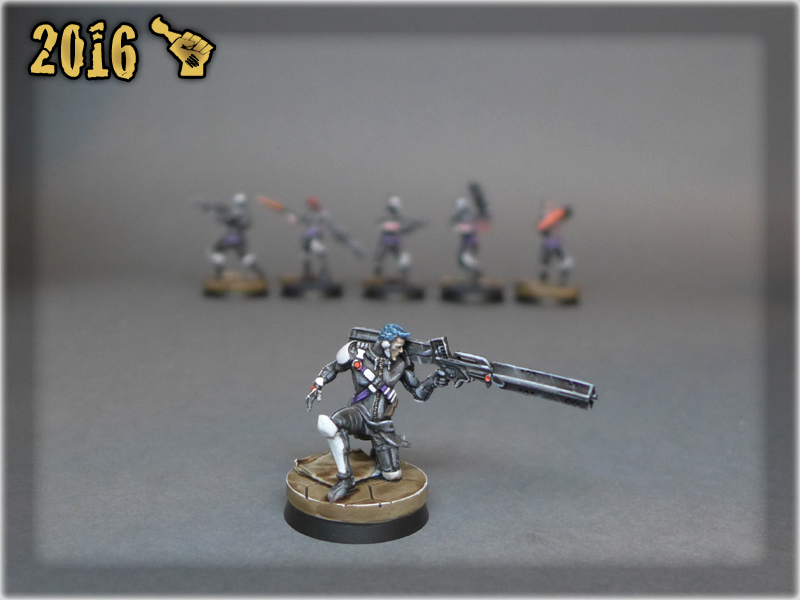 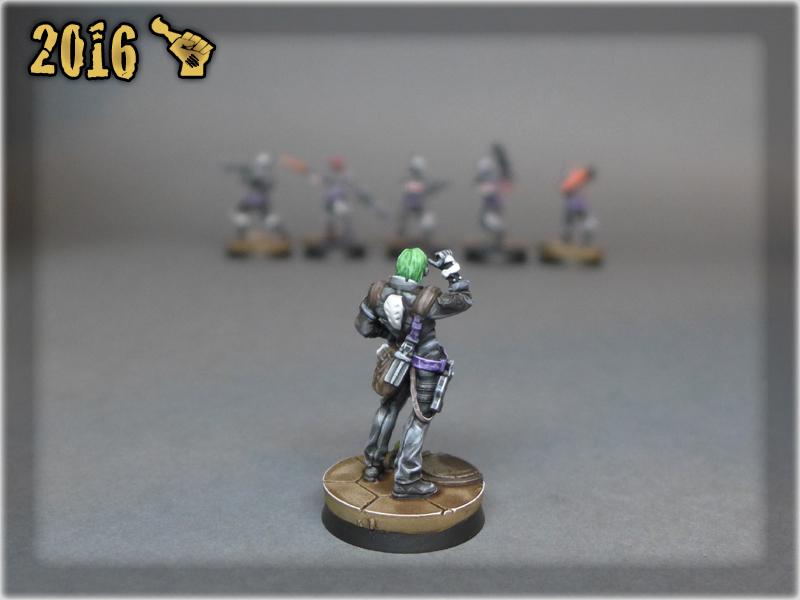 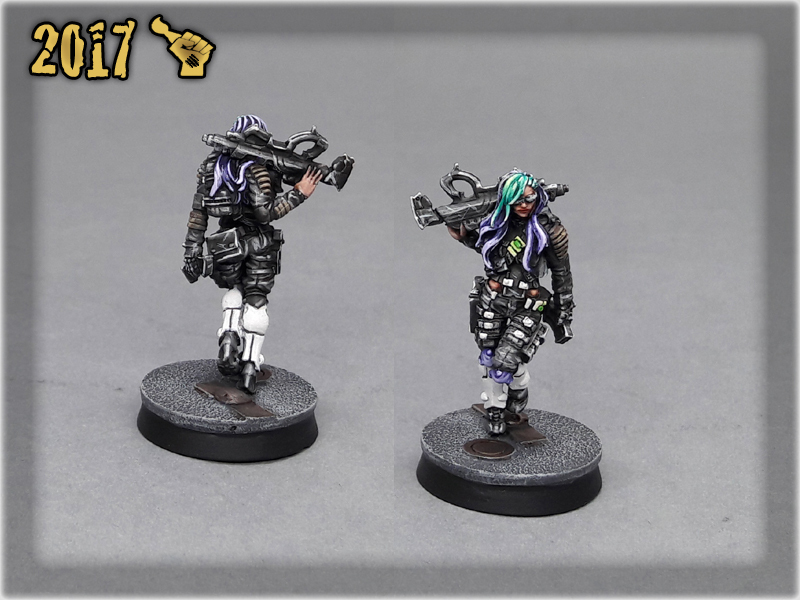 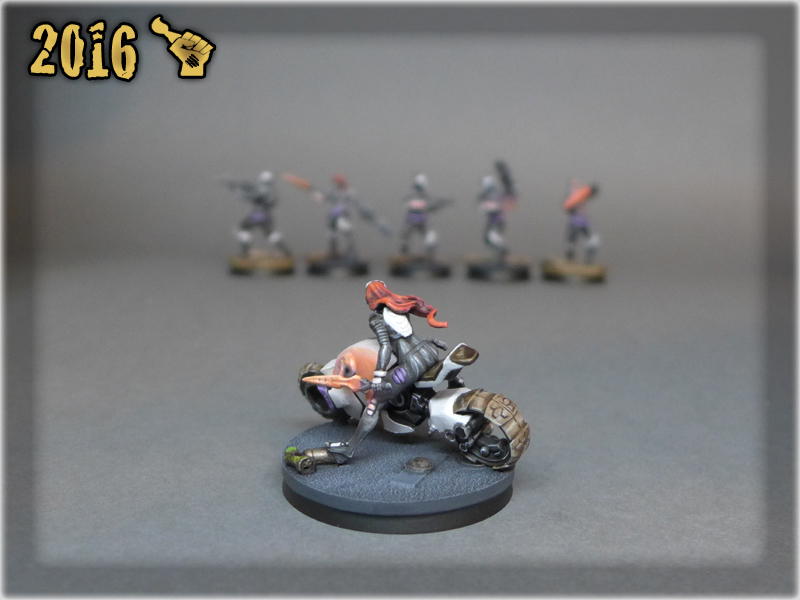 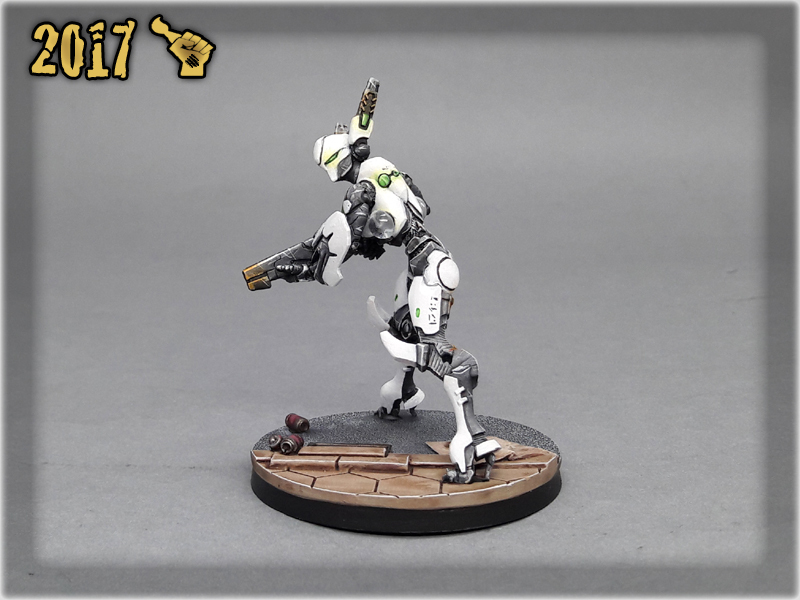 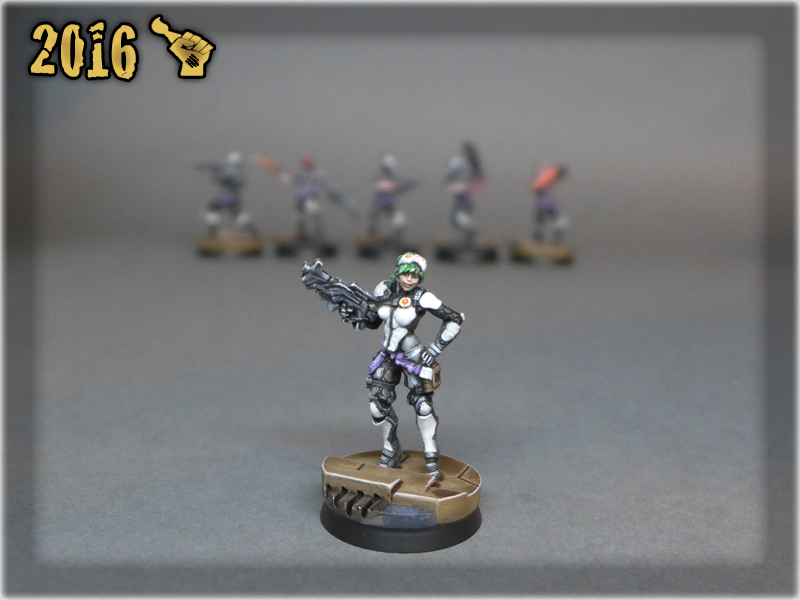 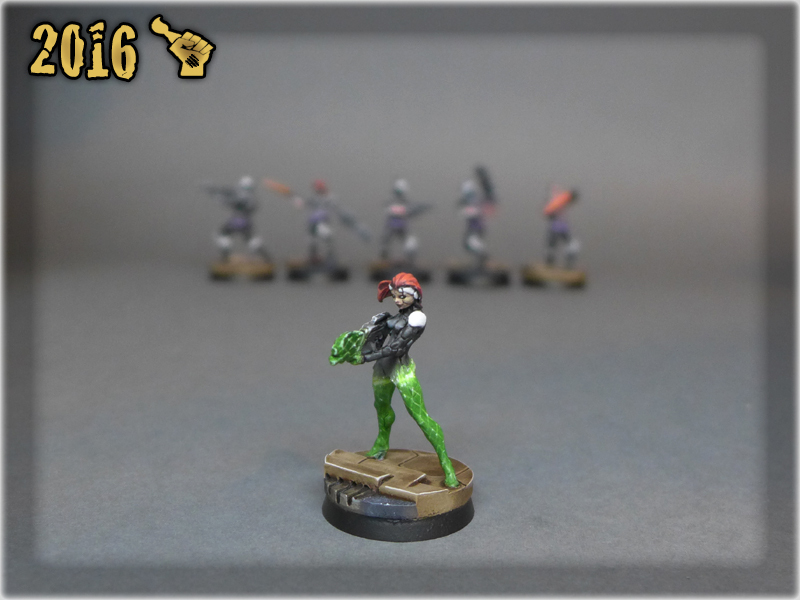 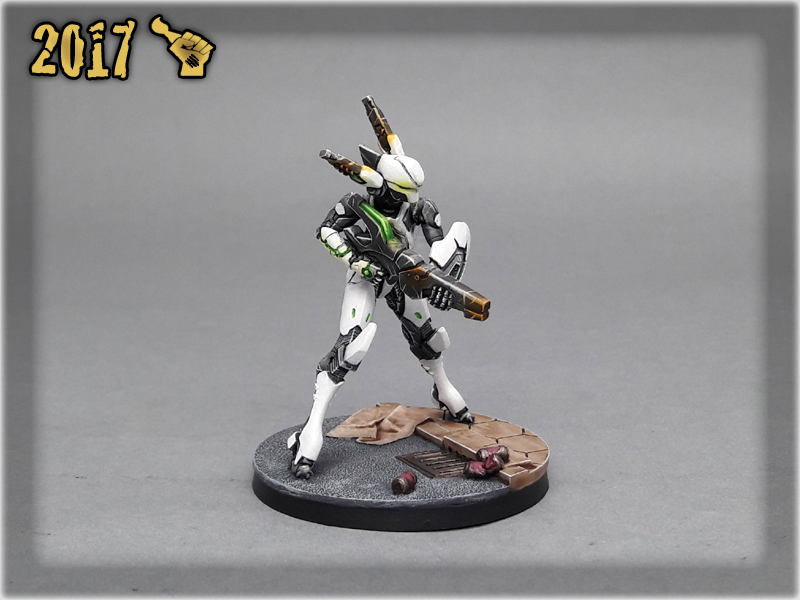 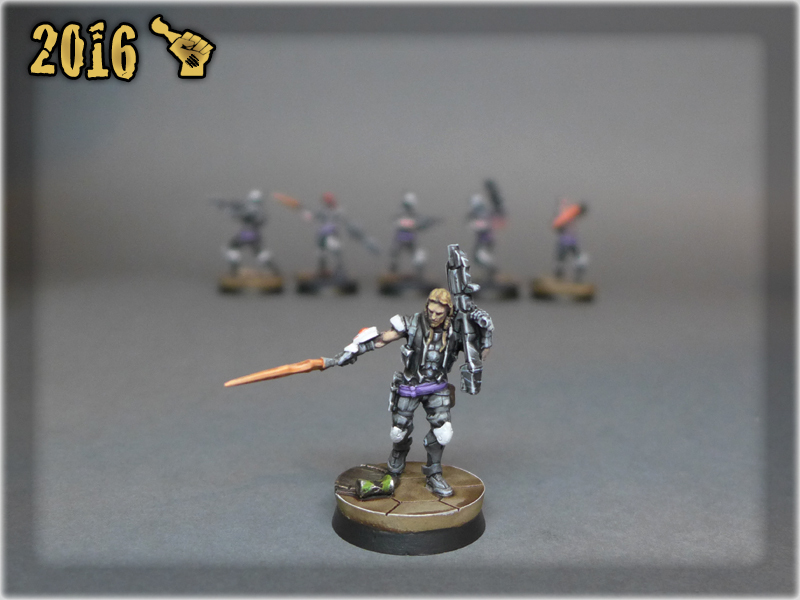 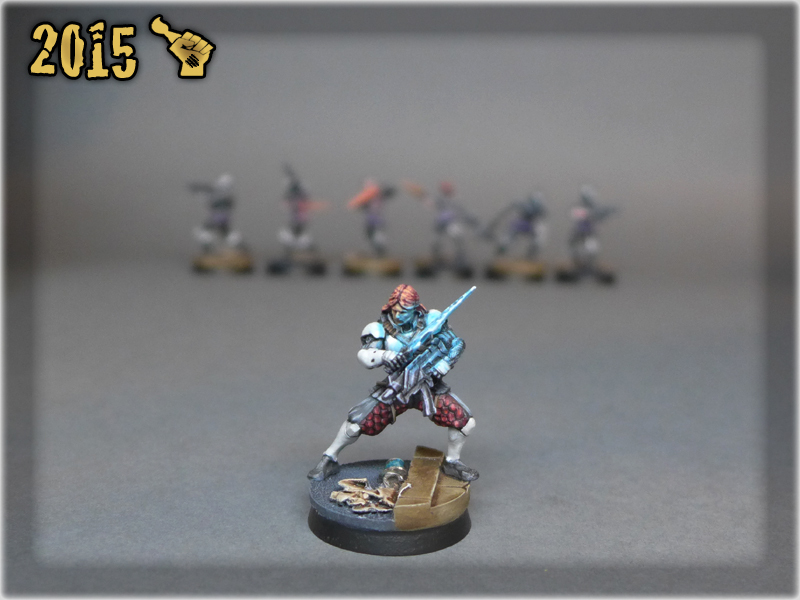 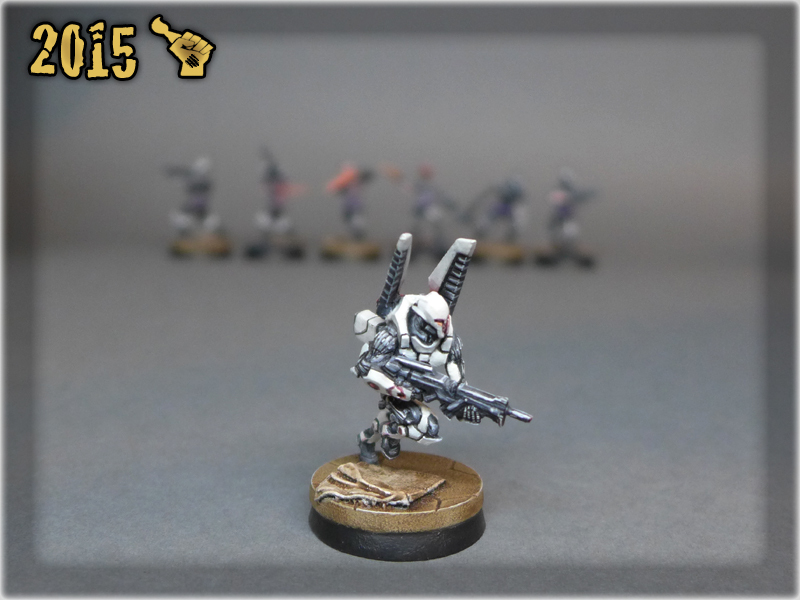 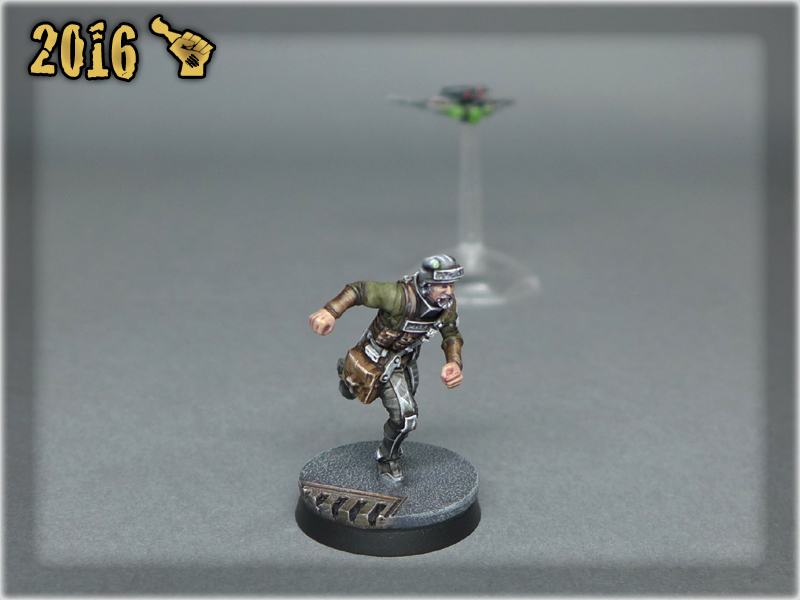 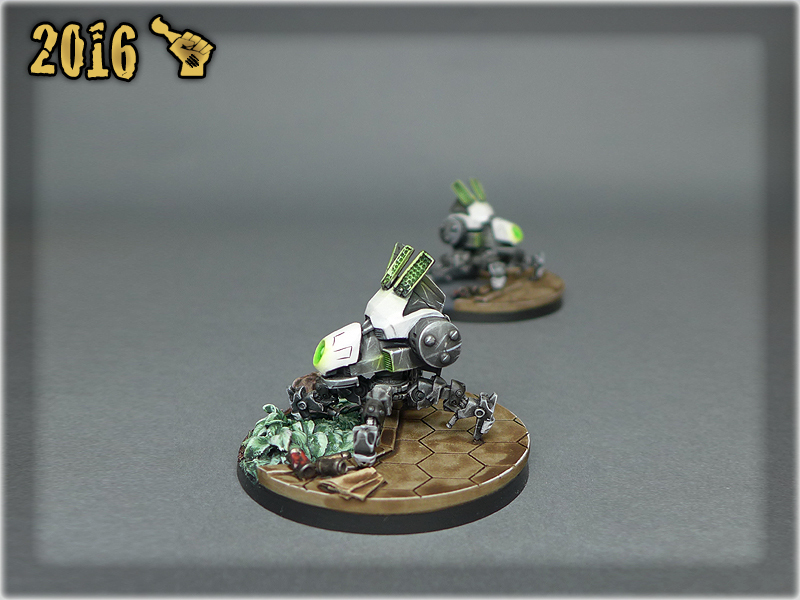 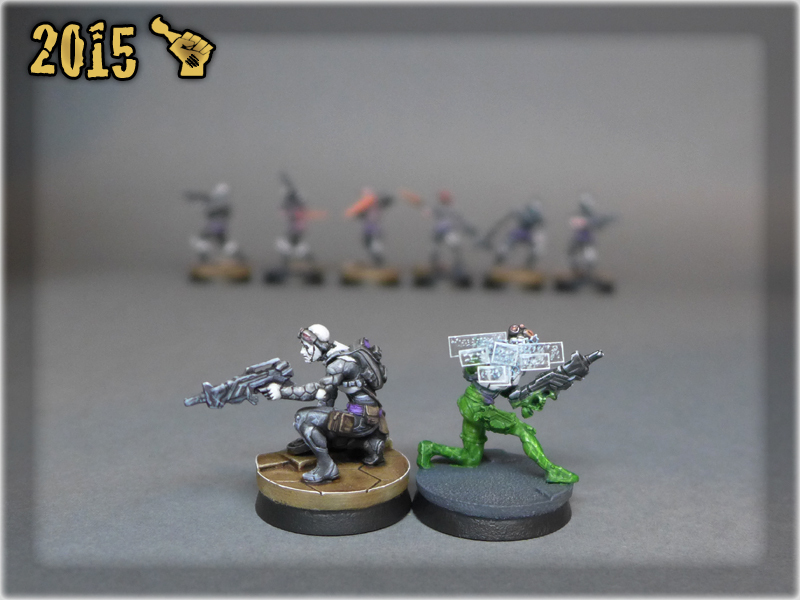 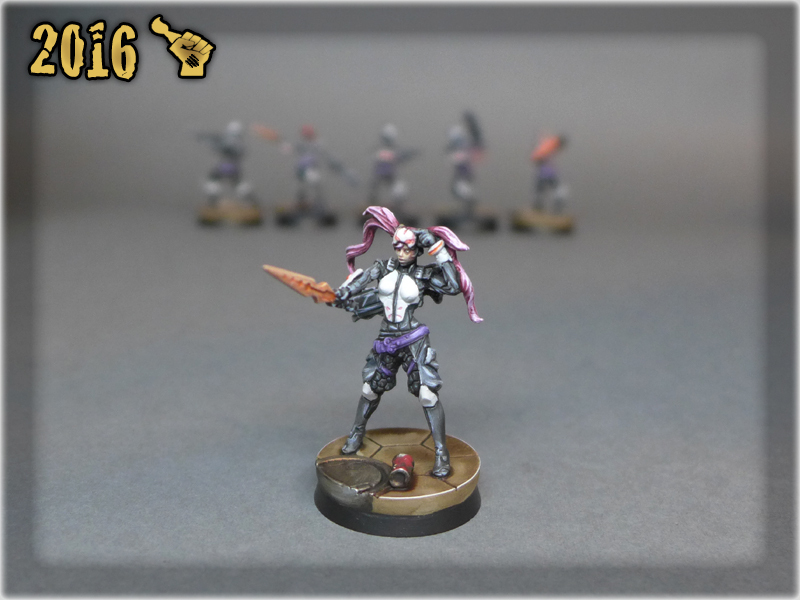 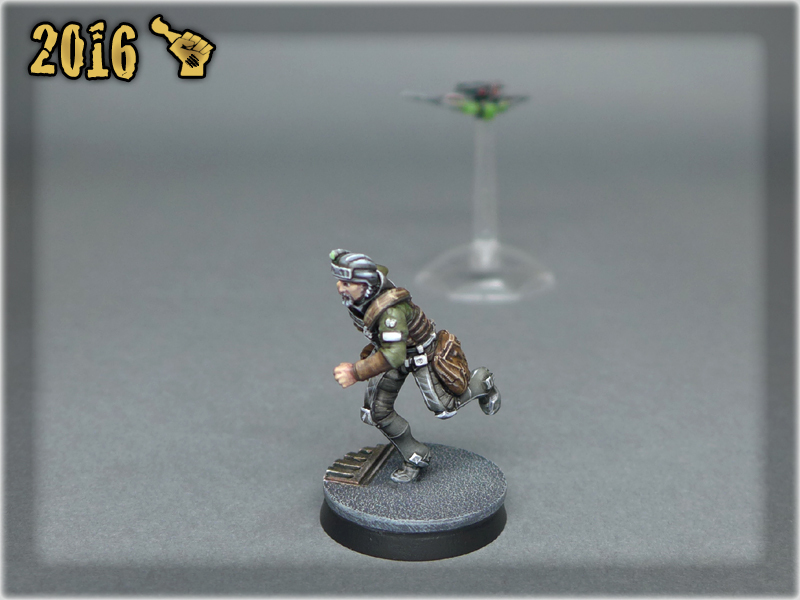 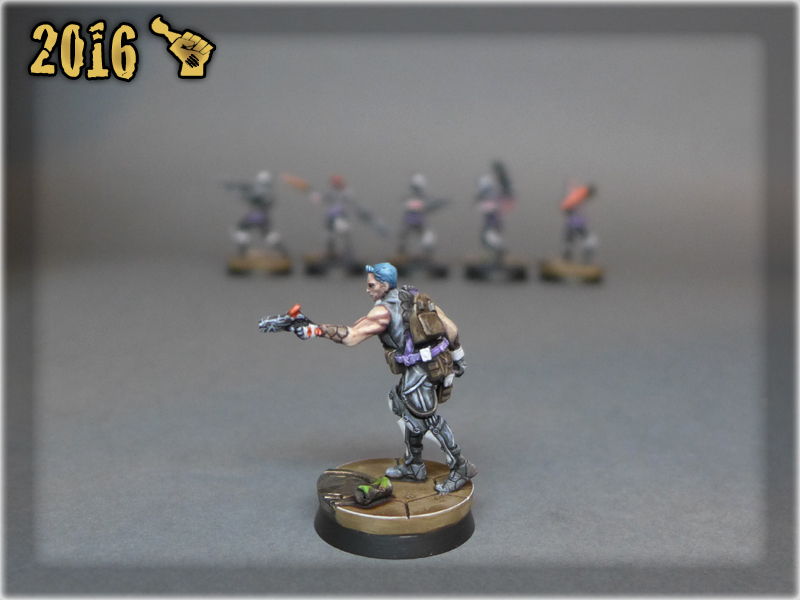 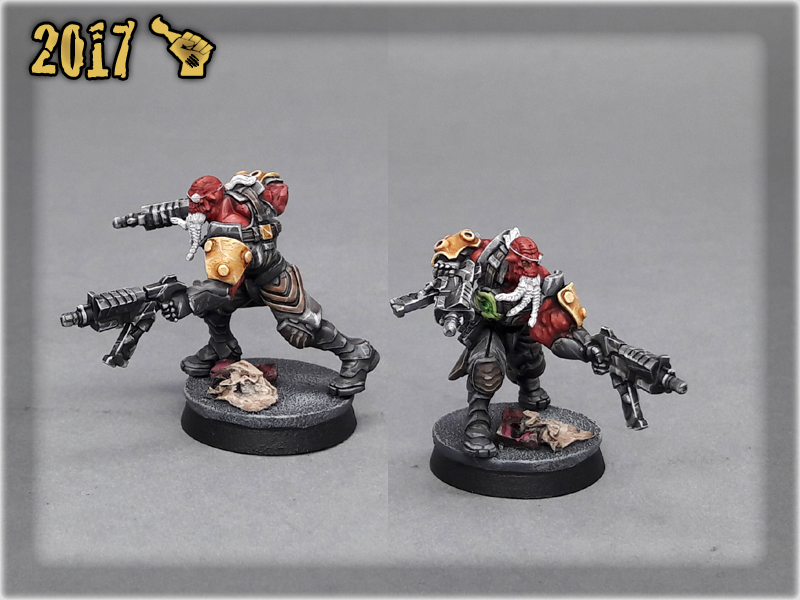 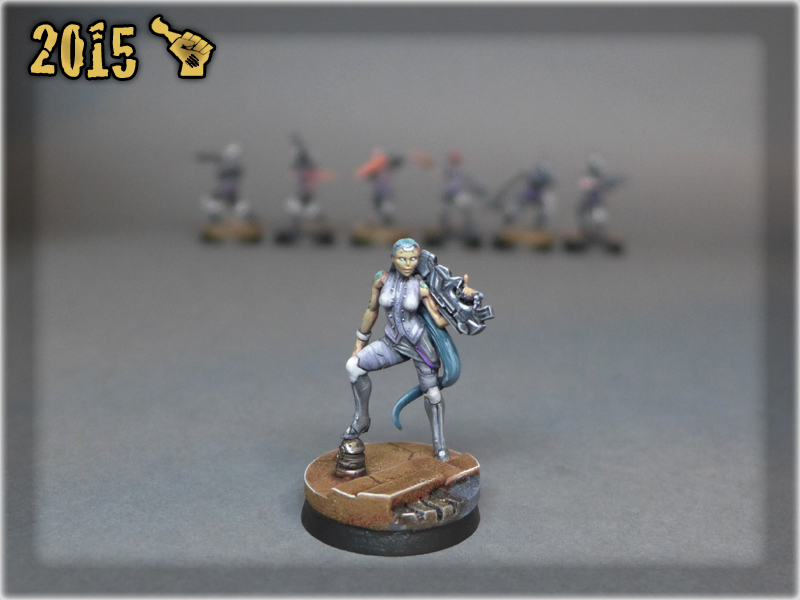 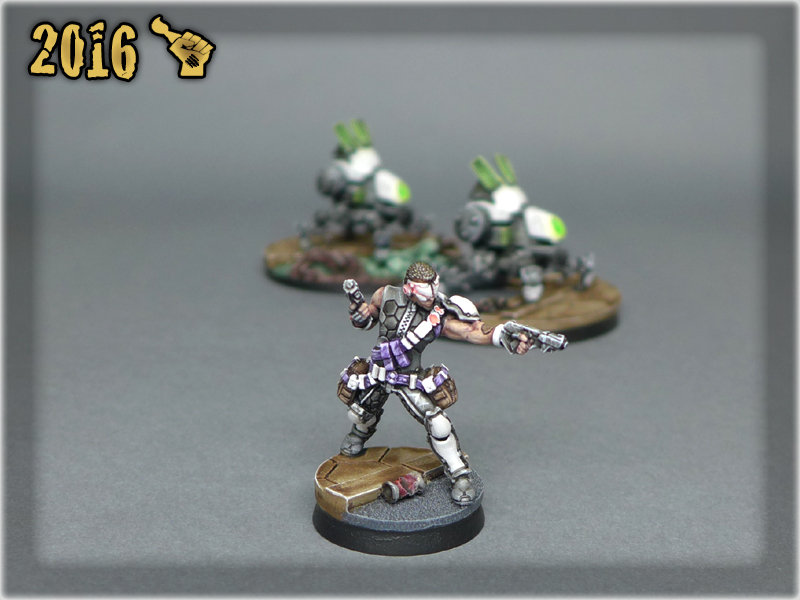 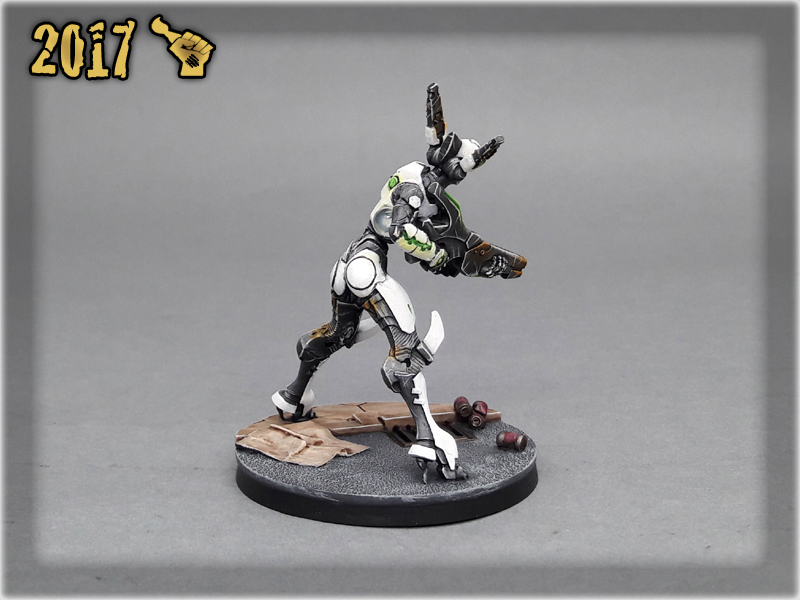 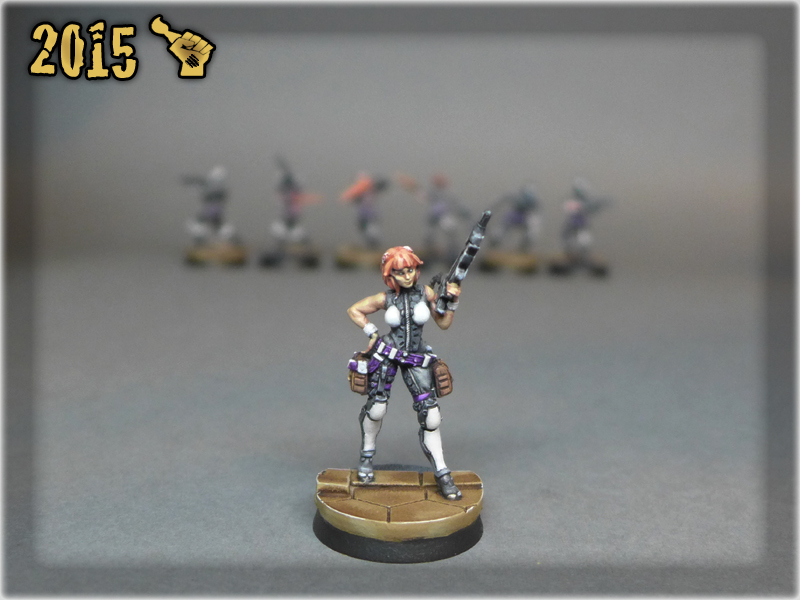 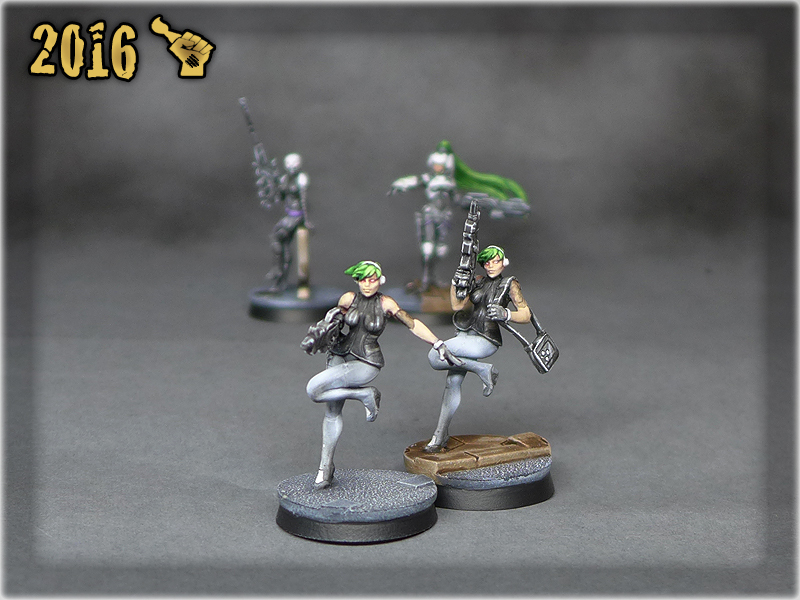 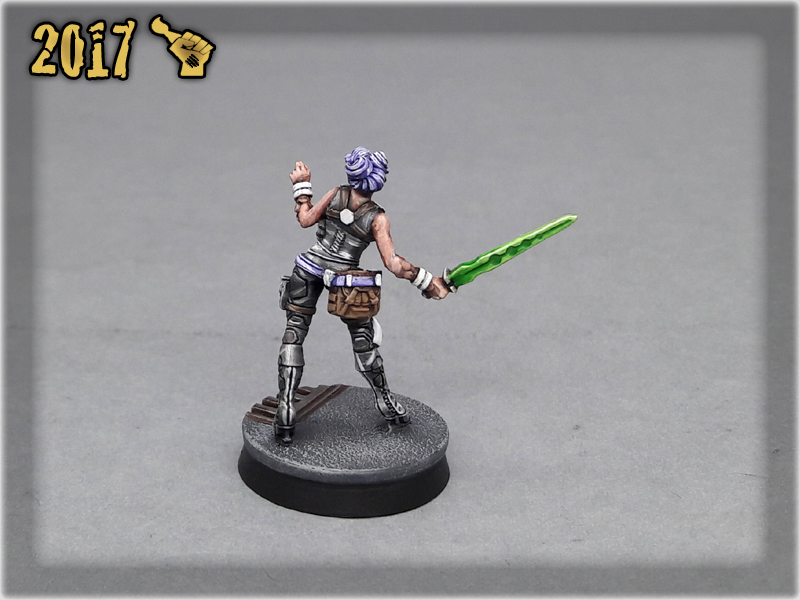 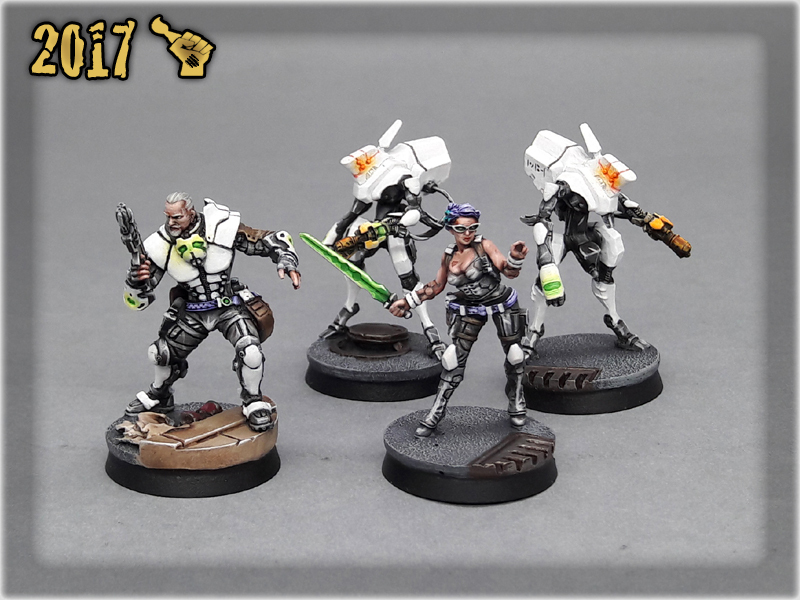 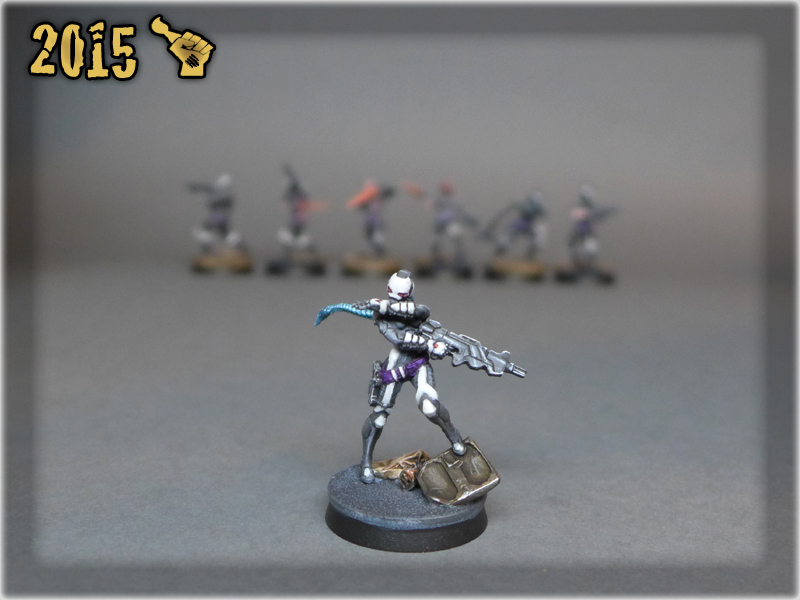 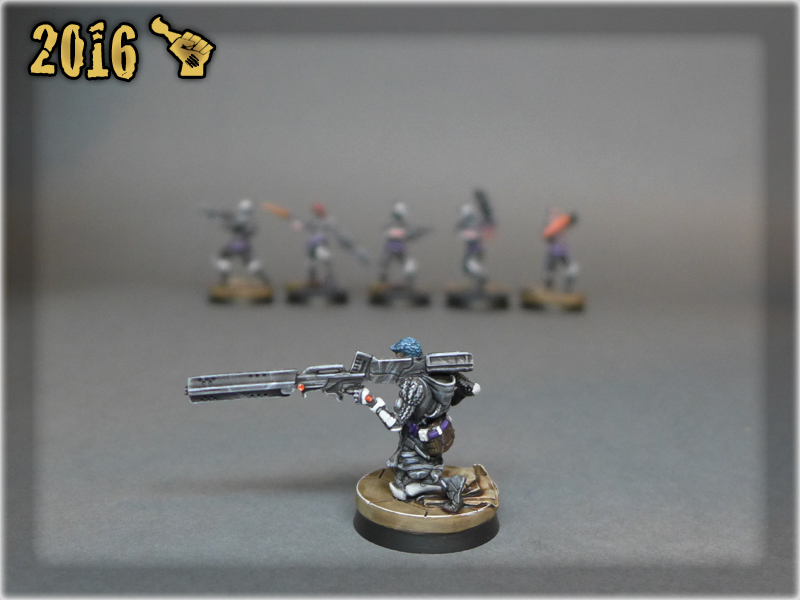 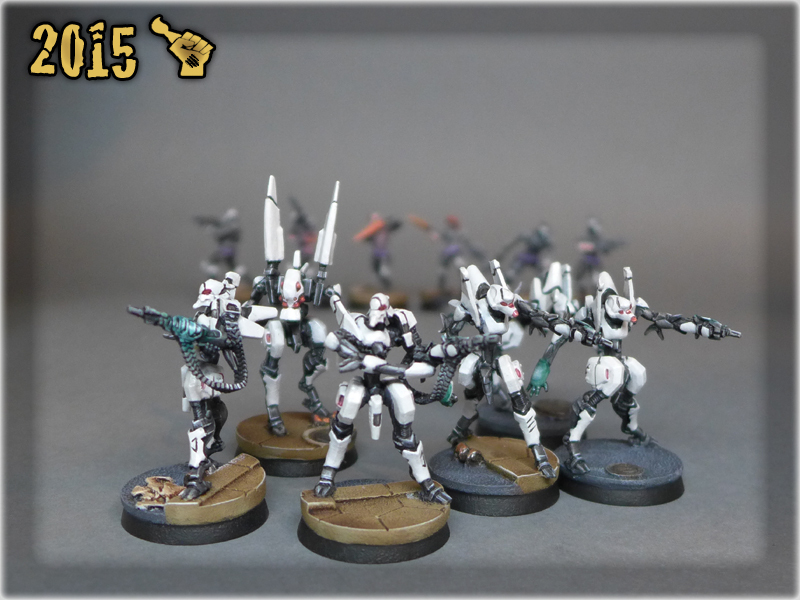 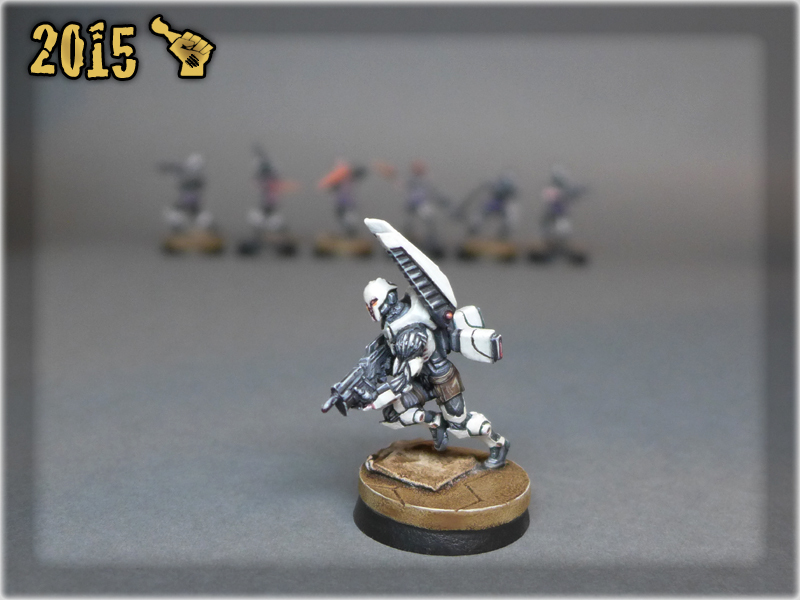 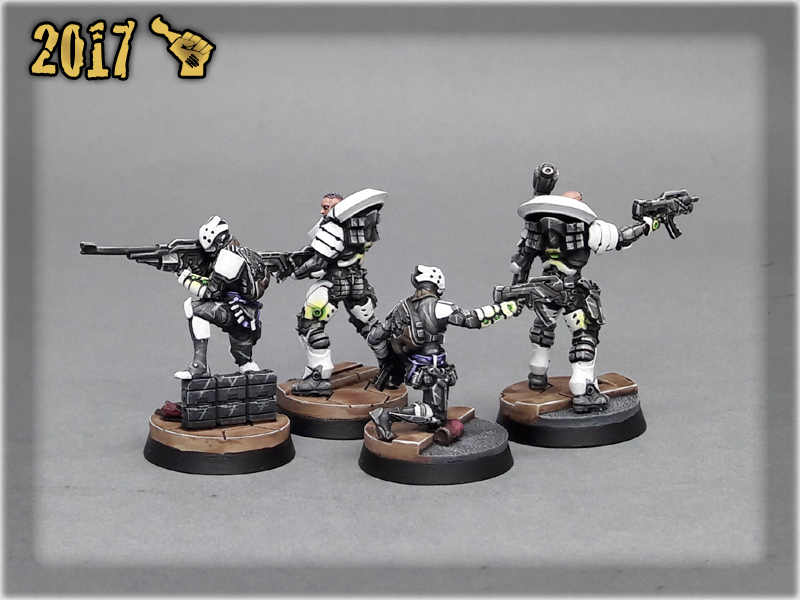 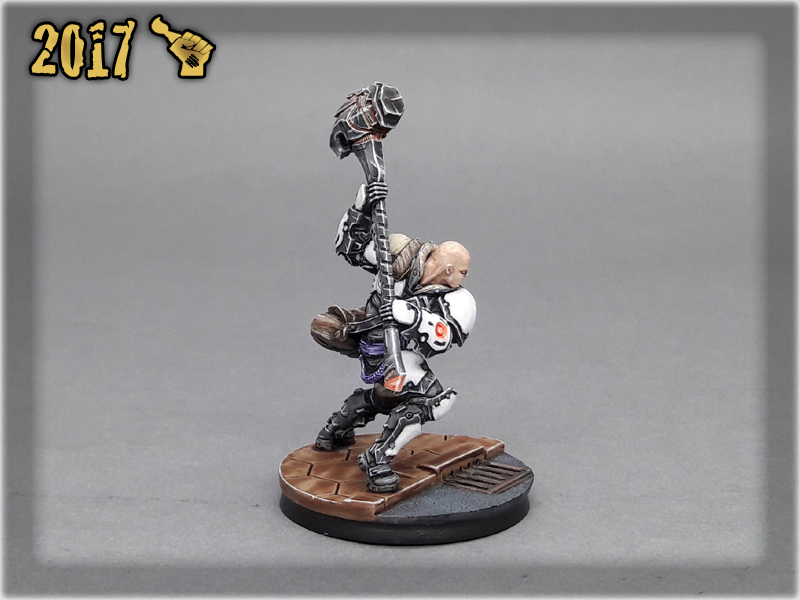 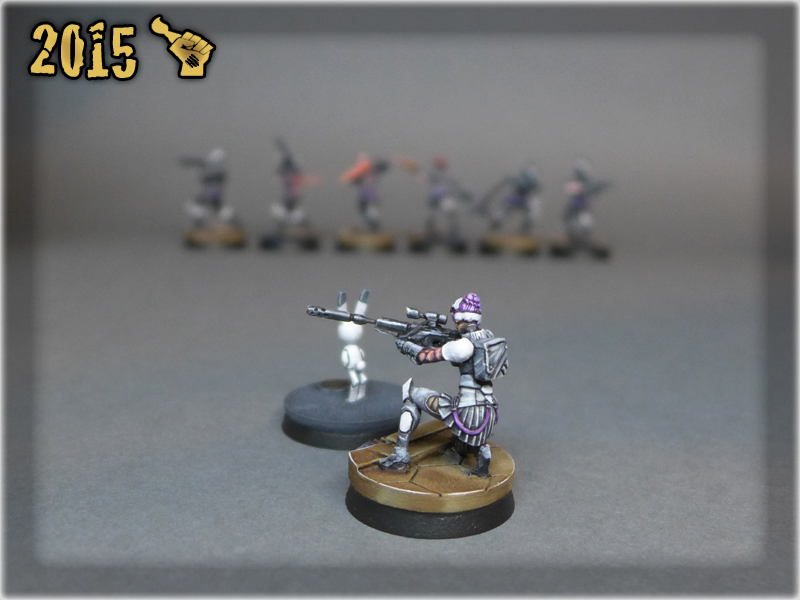 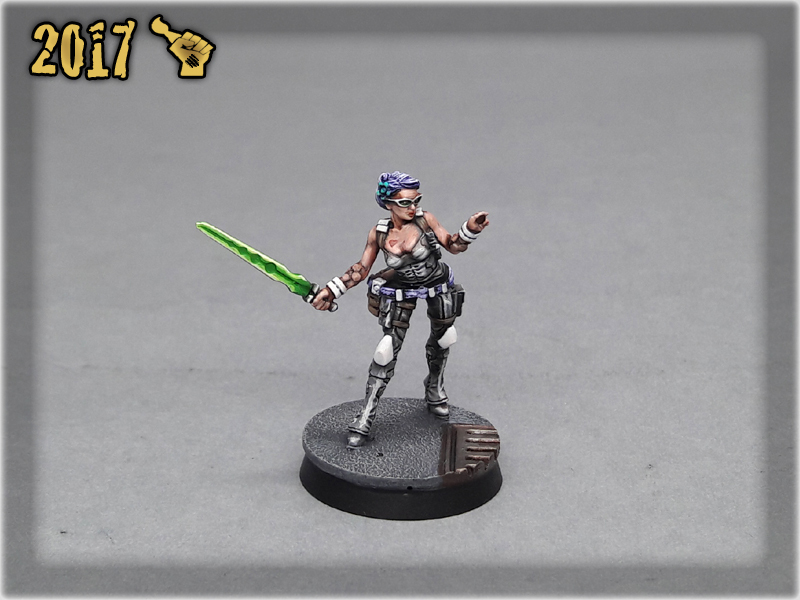 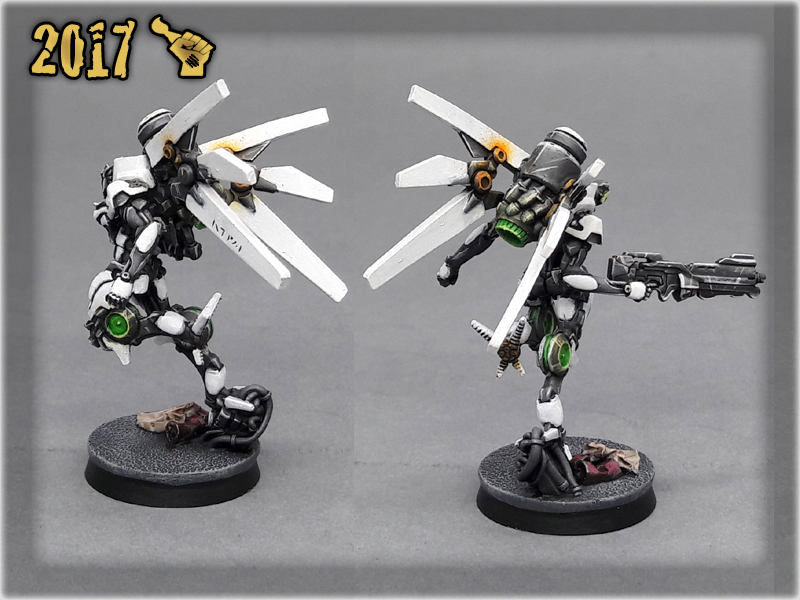 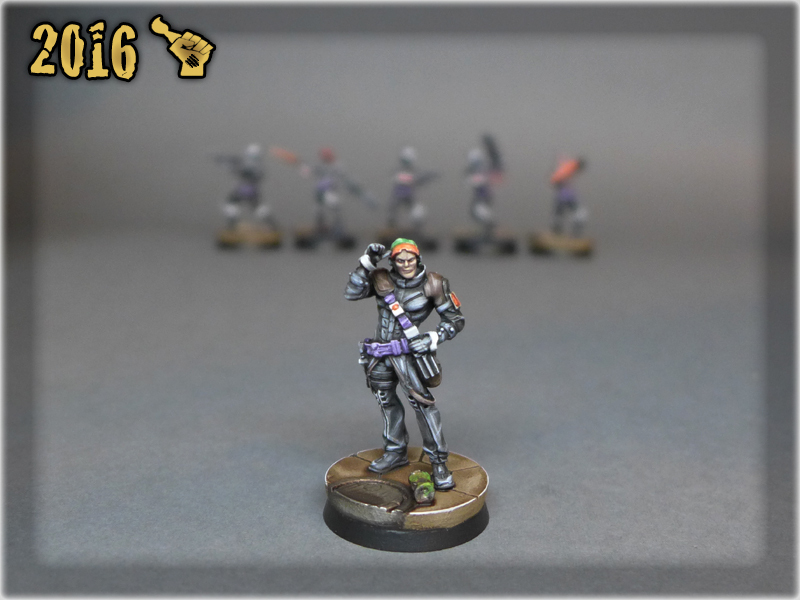 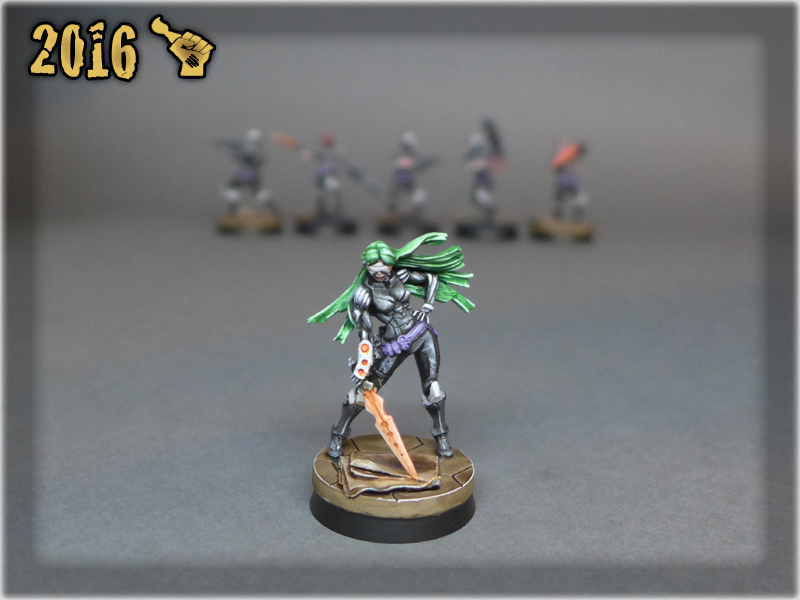 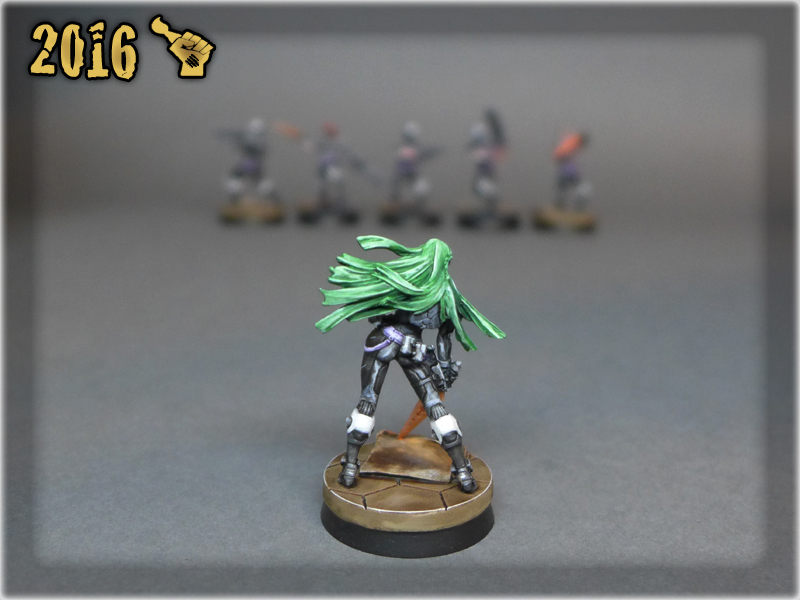 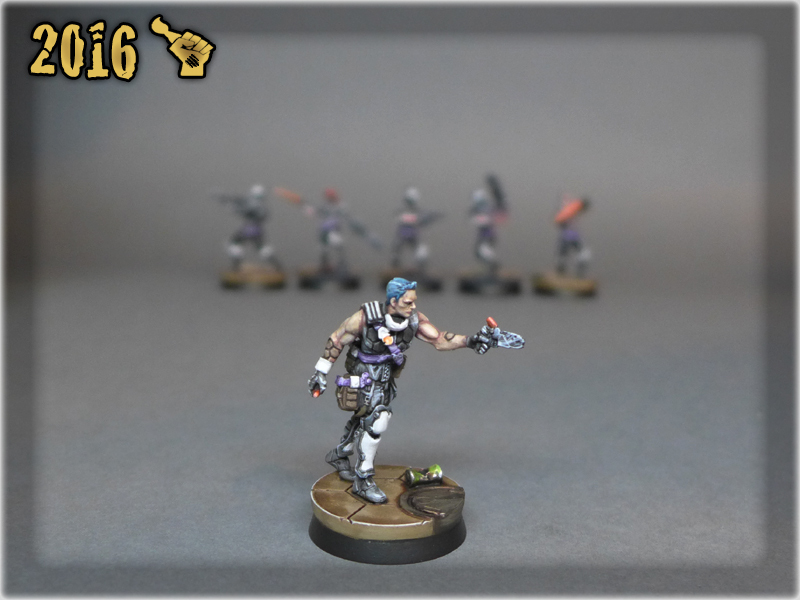 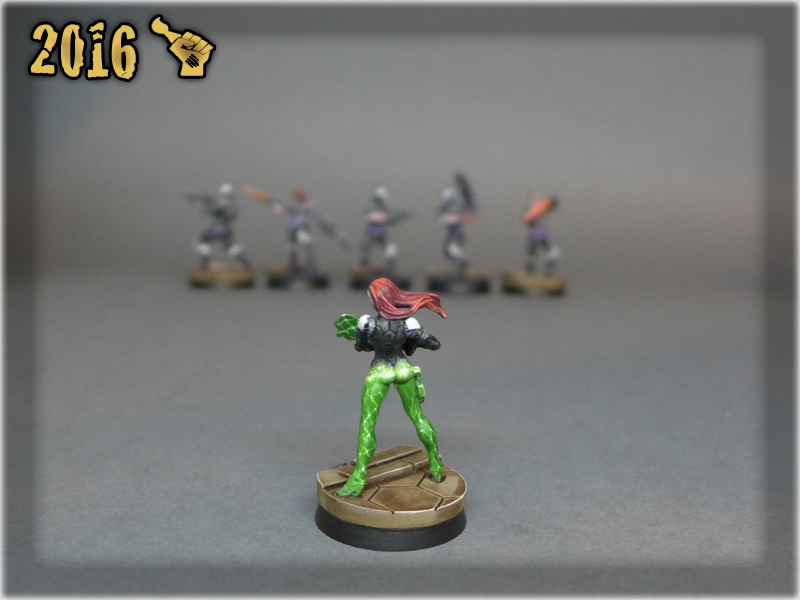 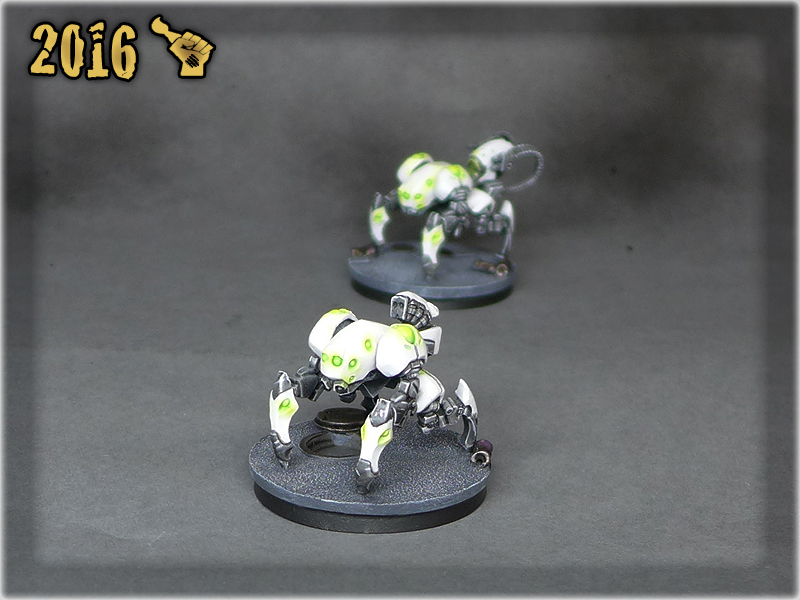 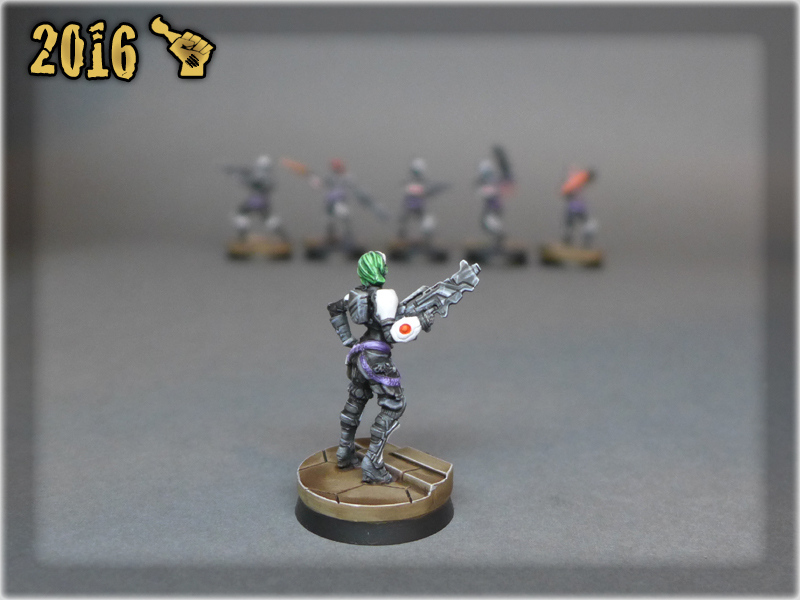 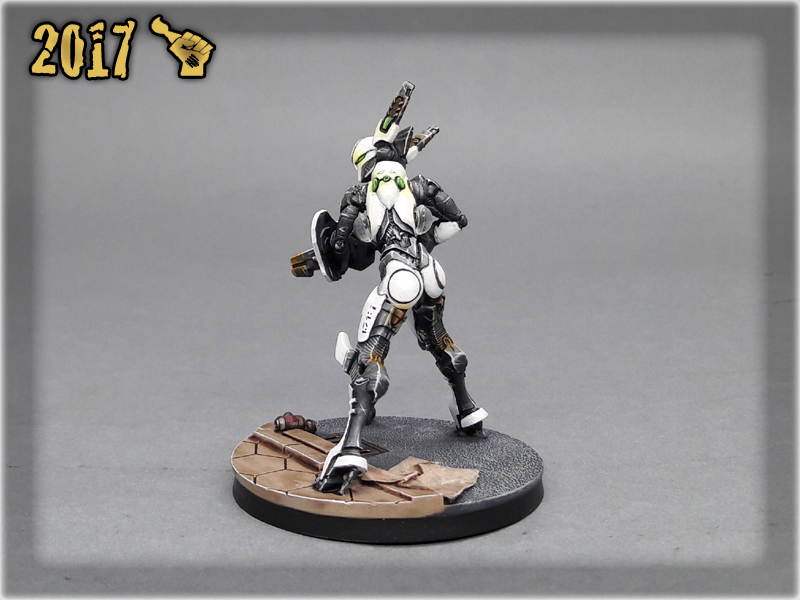 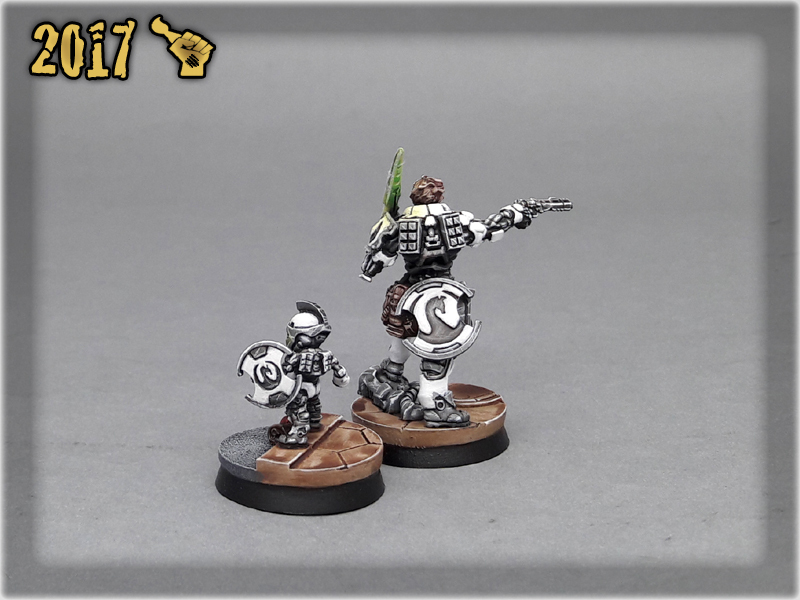 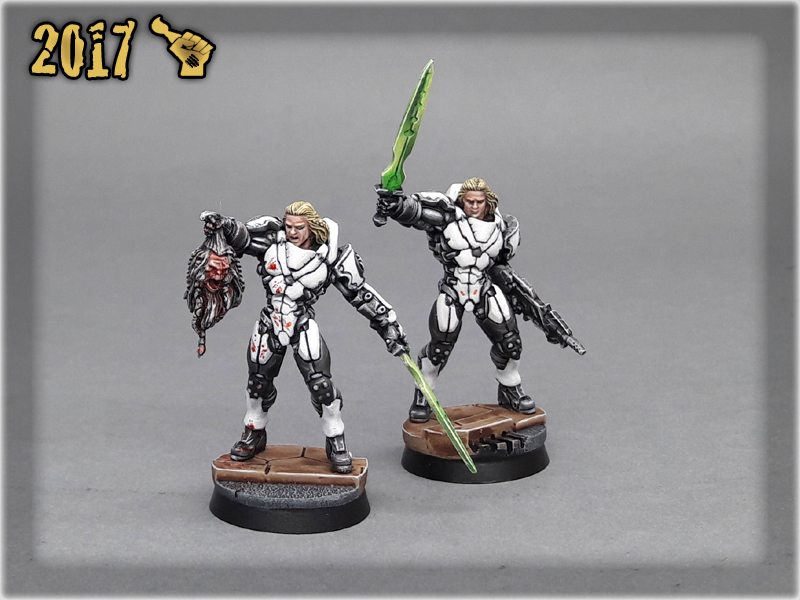 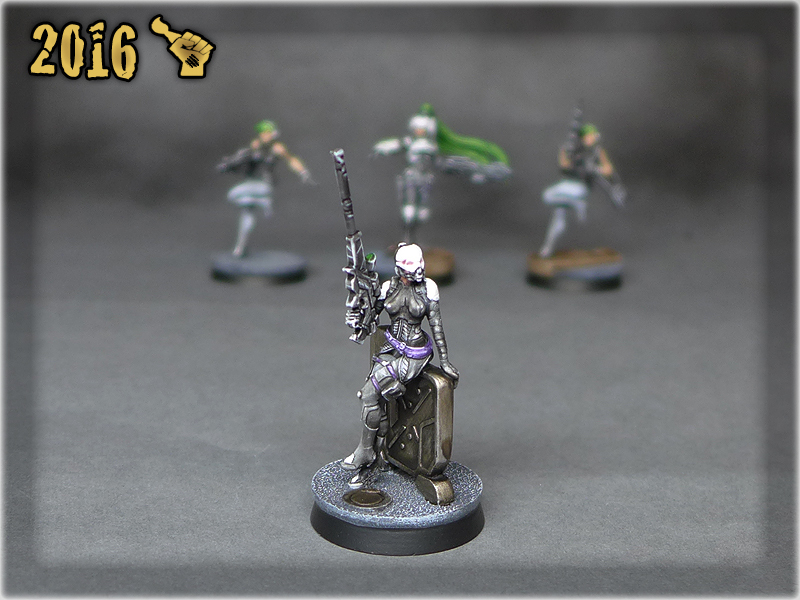 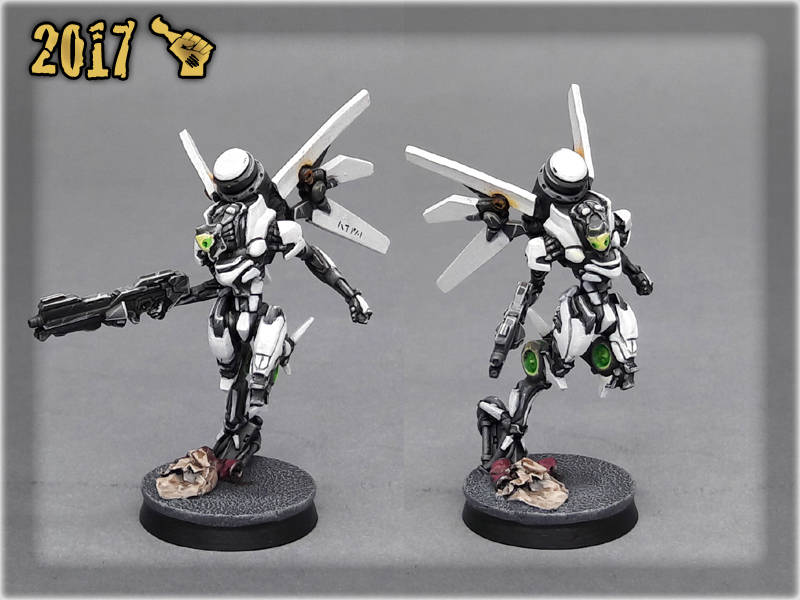 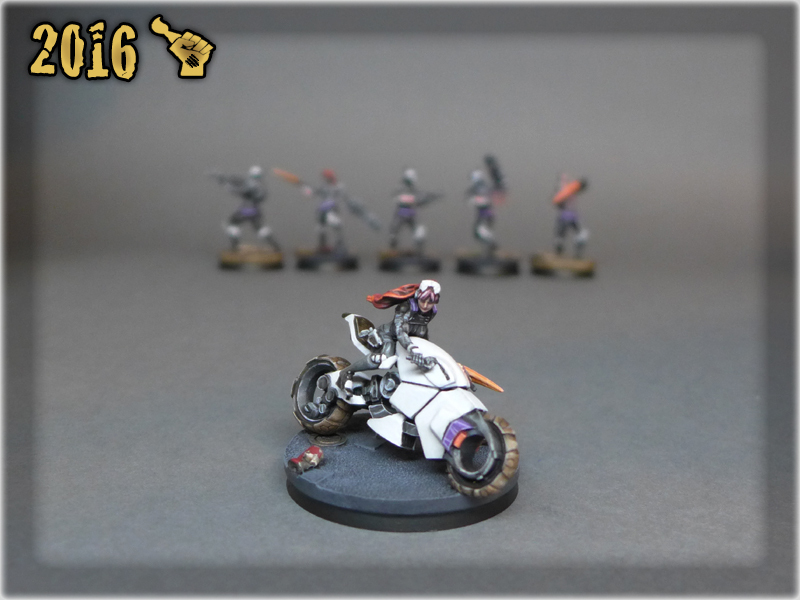 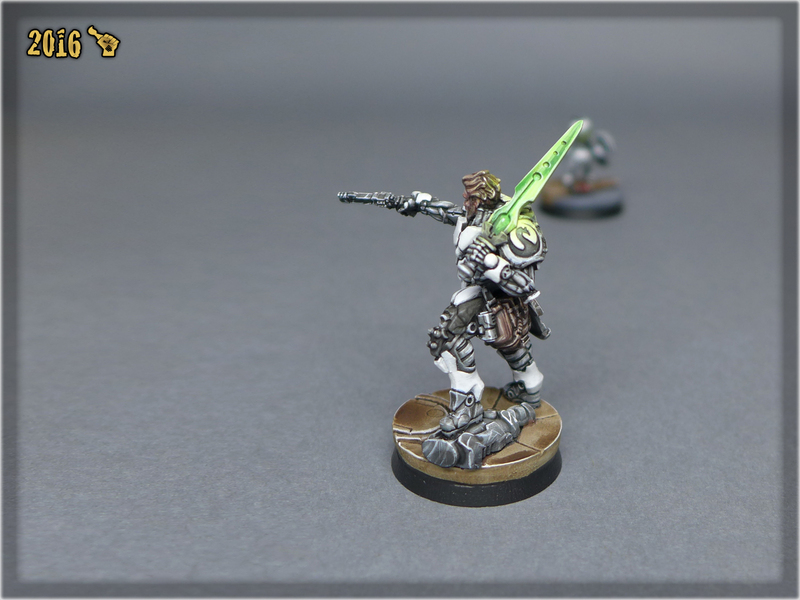 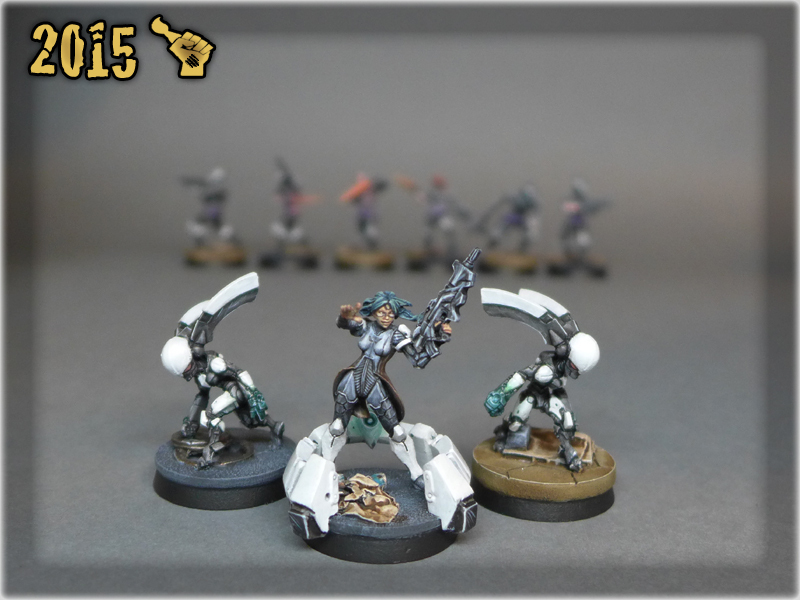 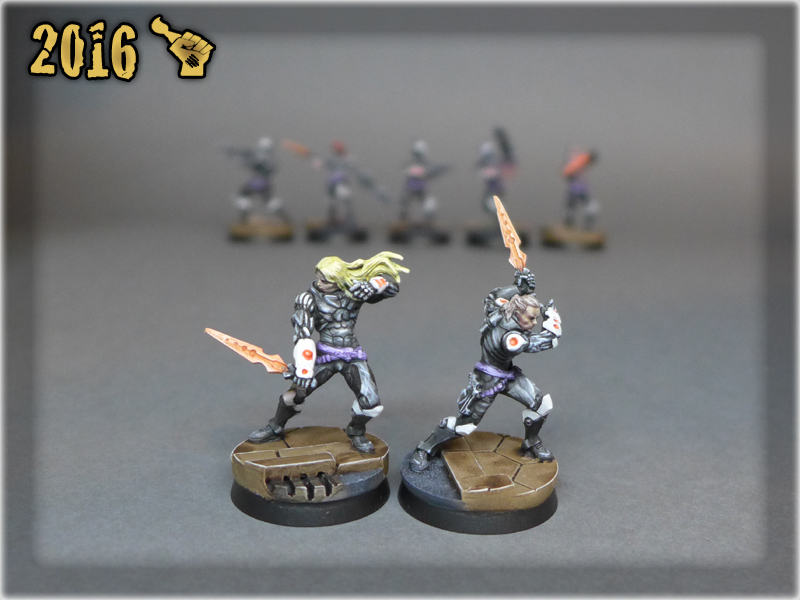 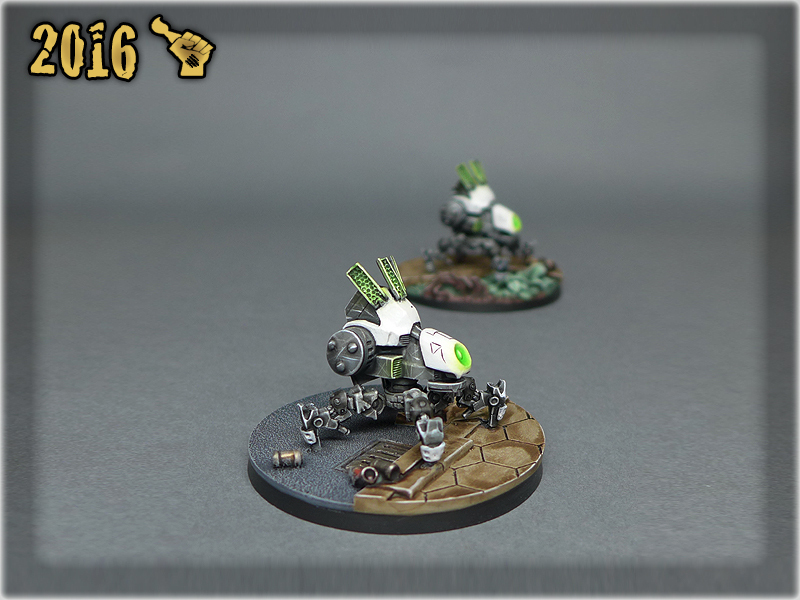 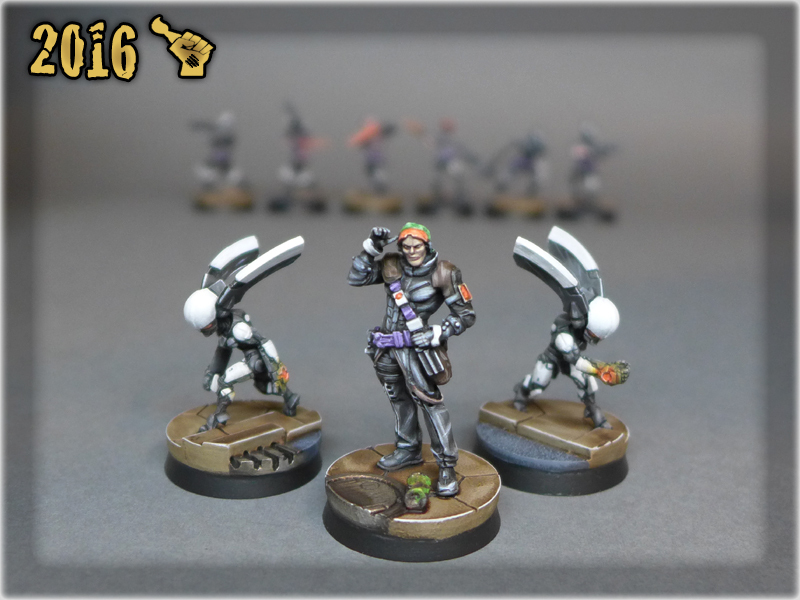 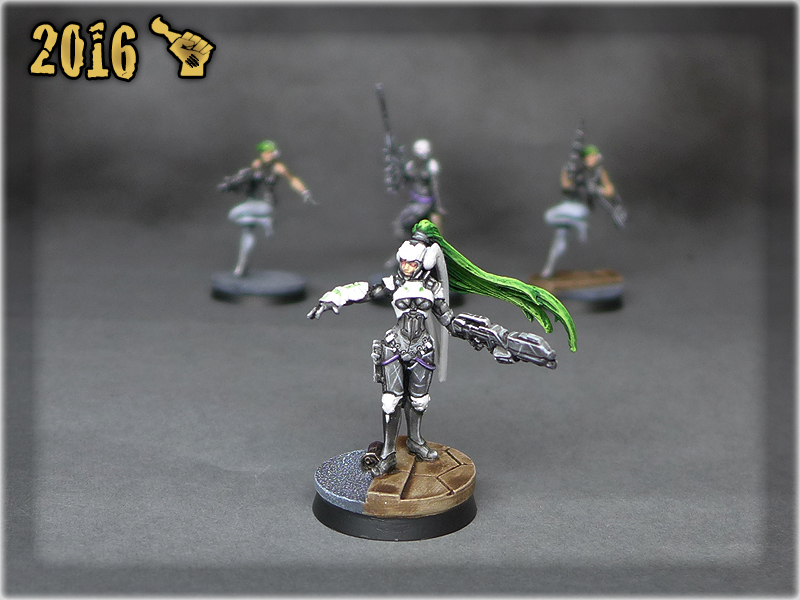 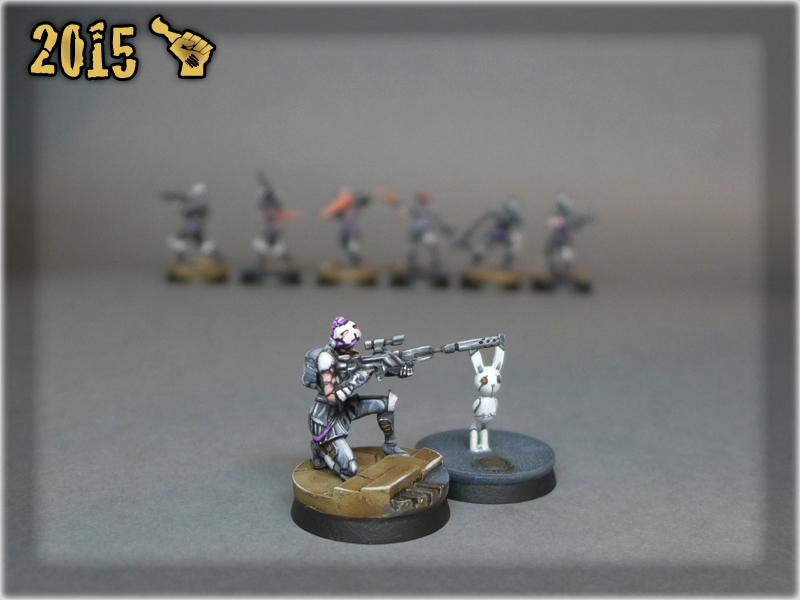 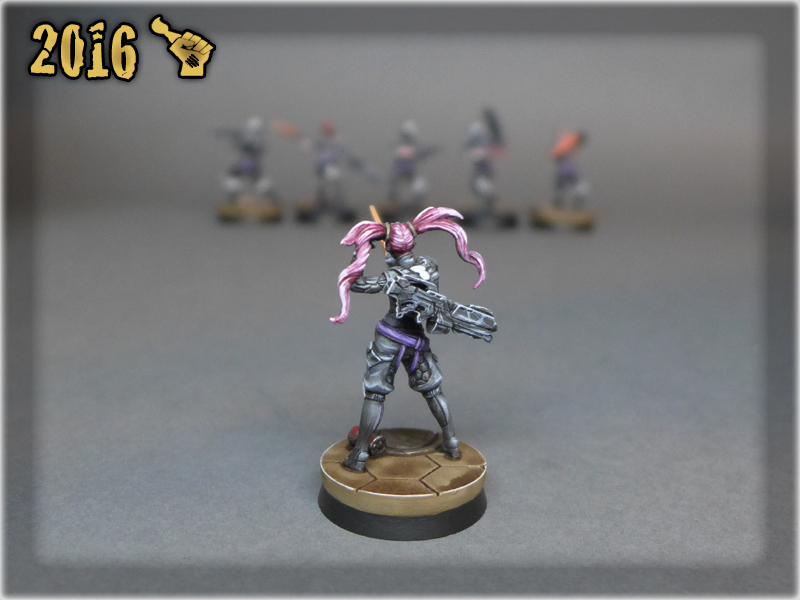 INFINITY: ALEPH collection painted level 4 with four miniatures painted lvl 5. 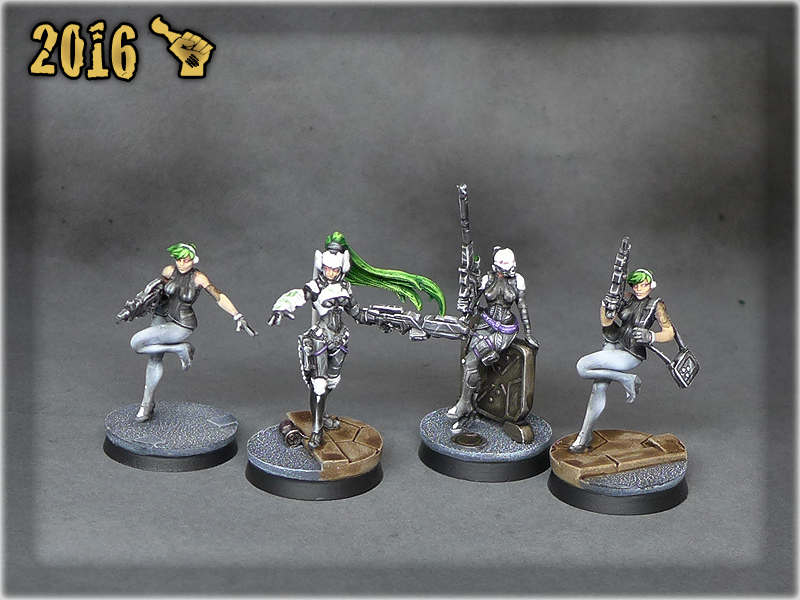 This commission was initially themed with black/white futuristic robotic style, based on this BJORK’s clip. 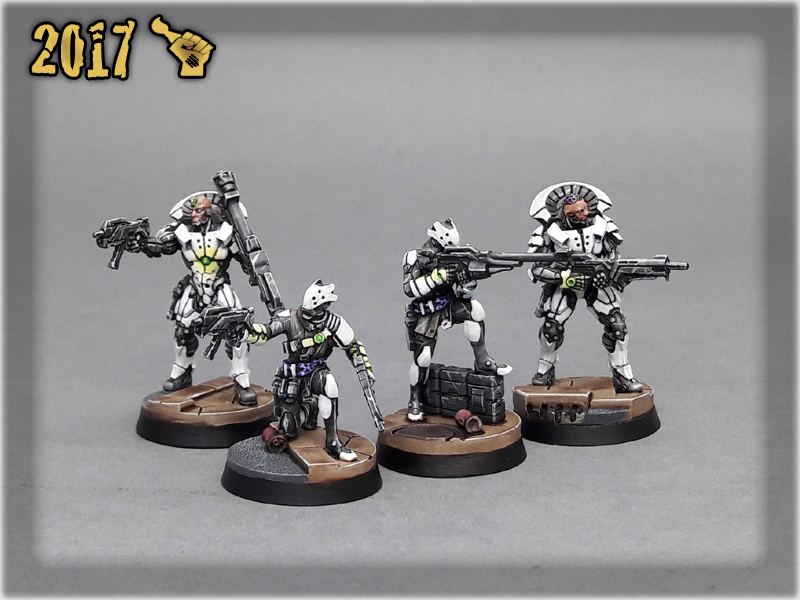 I worked on this collection in three waves, starting august 2015 with some base Aleph miniatures – then continuing the project in March 2016 with addition of Steel Phallanx reinforcements. 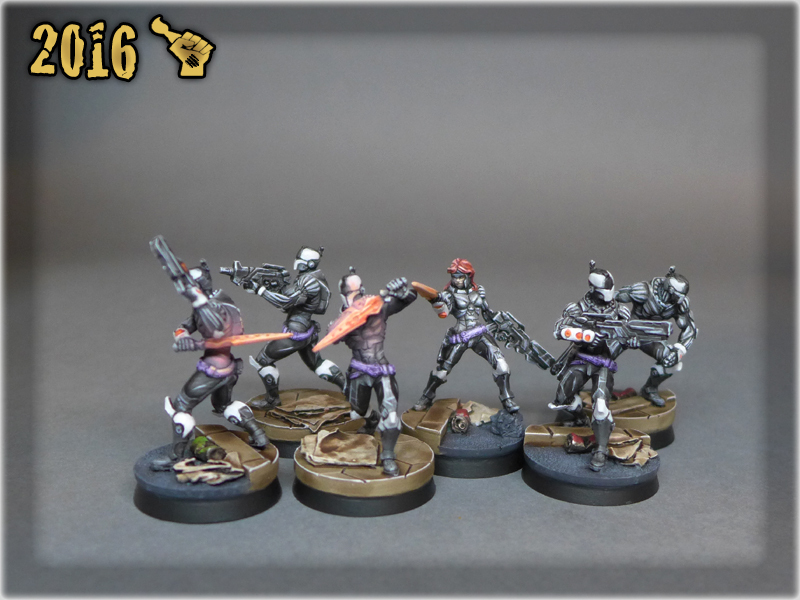 May 2016 saw some new releases along with couple additions to this set. 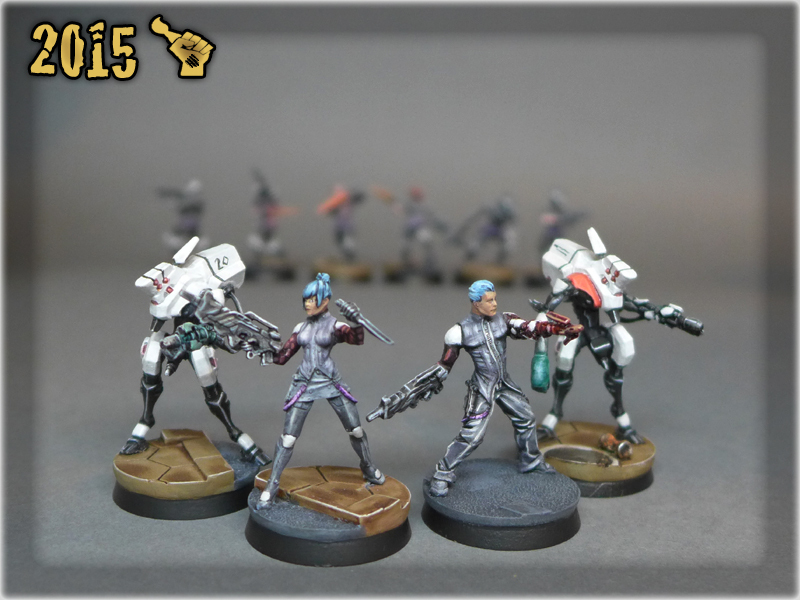 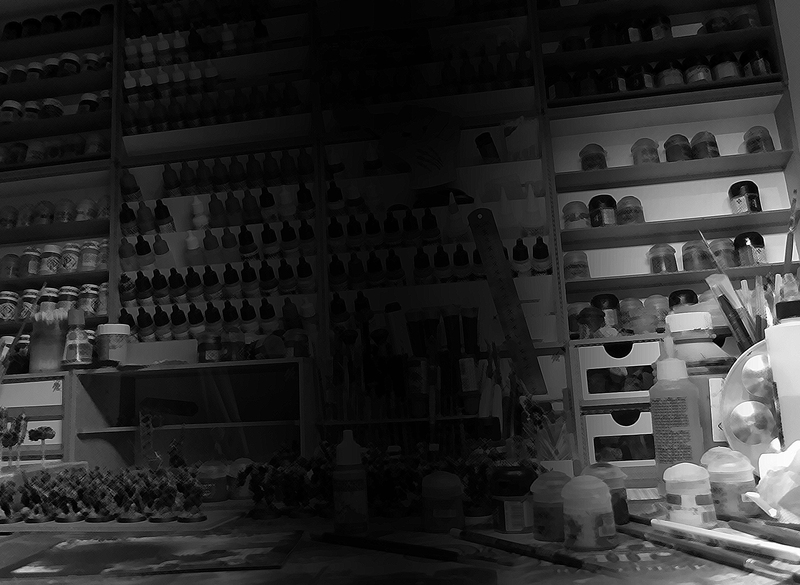 Due to my personal skill progress and an investment in a huge collection of Vallejo Air paints – Aleph’s second and then third wave is much more diversified when it comes to choice of colours. 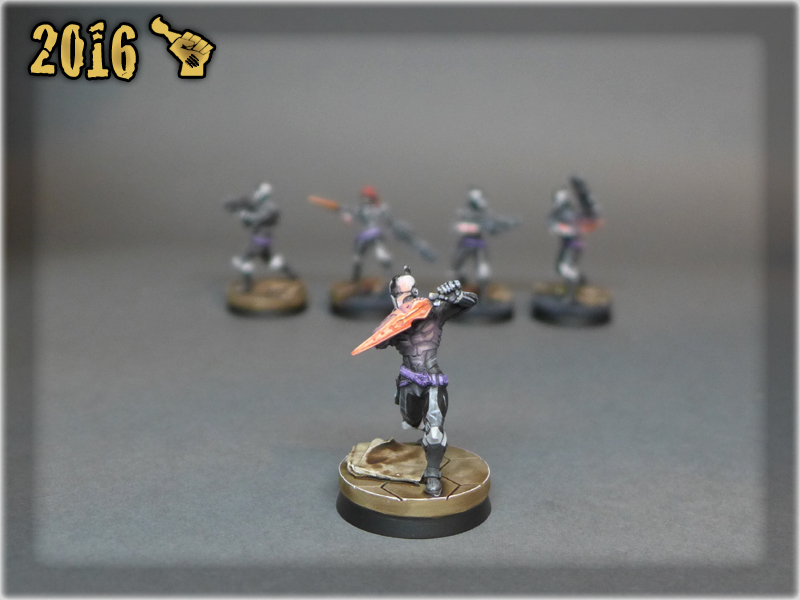 I had a lot of fun with these miniatures, especially Achilles, Ajax and Hector, being lvl 5 which let me spent more time with them.